Check out our VIDEOS from the Food Bank Motorcycle Run & Rally! *NOTE: We don't mind you copying and using our event list but please make a small mention of Cyberspokes.com as a return favor. Information from this web site can not be published, uploaded, downloaded, transmitted, posted, copied, reproduced, distributed or republished without permission from Cyberspokes. The information contained in this Web site is protected by the copyright and trademark laws and other laws of the United States and other countries. Hard Tales Magazine People's Choice Award! dedicated to WNY Bikers, their needs and lifestyles. Also featuring our Cyberspokes Biker Events Calendar in HARD-COPY format! They are active members of the AMA, ABATE, MRF, and HOG and Kantor has supported and sponsored many events and charities in the Western New York and Rochester areas. This is our 20 YEAR ANNIVERSARY for Cyberspokes! Since 1999, our email list has grown to over 4000 bikers!! We are in the process of upgrading and refreshing our email list for 2019. If you would like to receive our Buffalo & Western New York Motorcycle Events Emailer, please drop us an EMAIL. by bookmarking this page in your browser and saving it to your Favorites. We also post frequent Event Updates via our Cyberspokes Facebook Page. VOLUNTEERS NEEDED - Please support "The Food Bank of WNY Motorcycle Run & Rally"
Thank you Buffalo and Western New York! You support us, we support you. Tell them you saw it on Cyberspokes.com! We are a 100% VOLUNTEER dis-ORGANIZATION. Cyberspokes is "Cyberspace for BIKERS"
Buffalo & WNY FREE Motorcycle Events Calendar & Virtual Motorcycle Club. We are also now on Facebook and YouTube! Also, check out the Food Bank Run & Rally YOU TUBE VIDEOS. Always check with event organizer for changes or cancellations before events! WANT BETTER ATTENDANCE AT YOUR EVENT? Do you who want to make sure that you get the word out to as many bikers as possible? You can get your event listed here FREE !! Check out our SERVICES page for details. If this is your first year and you want to get an ideas on dates, take a look at our listing for previous years on this page's left menu bar. Bikers should always get together to support and attend each other's events! Picking a non-conflicting date will increase your chances for better attendance. If you see several events already on the same date, it would be best to pick another date for yours! For example, most years there are some dates that had 8+ events on the same day, even though there were other dates with no events at all! Don't be afraid of holidays like Mothers/Fathers Day, Independence Day, etc. Please review our SERVICES page before contacting us. We specialize in Buffalo & WNY Motorcycle-related events only. How many times have you picked up a flyer for a cool biker event and then, when the day came, you realized that you CAN'T FIND THE FLYER !!! It's pretty much impossible to keep track of all the Biker events going on around here but... this page will get you headed in the right direction. So when you looking for something fun to do like Bike Runs, Cruise Nights, Swap Meets, Bike Shows, Blues Fests, Tattoo Shows, etc., THIS is the place to look! Email us if you want to receive our WNY Biker Events Emailer. The Biker Events and Biker Cruise Nights sections contain detailed information on specific biker events and weekly cruises for the Buffalo & Western NY area. The Online Biker Event Calendars section was created because selected organizations (The Hog Farm, ABATE, Gowanda Harley, AMA, etc.) already do such a GREAT job putting together Event Calendars on their web sites. So, the folks here at Cyberspokes decided... Why reinvent the wheel? Instead, let's pool all of these resources together into ONE CENTRAL RESOURCE! Hence this section was born. Rather than listing the event calendars alphabetically, we decided to list them in order of completeness for the Western New York area. Our opinion of course. take a look at our Cyberspokes Club Events page. Even though these are the events we ALREADY did, they are still cool to check out. Use this info to make your plans for next year!. Local Events, Daytona, Sturgis, Laconia, Myrtle Beach and more. GREAT BIKE & TATTOO PICTURES TOO! Use this info to make your plans for next year! The Hog Farm is the oldest HOG shop in the U.S.A.! WANT BETTER ATTENDANCE AT YOUR 2019 EVENT? Do you who want to make sure that you get the word out to as many bikers as possible? You can get your event listed here FREE !! Check out our SERVICES page for details. January 4-6, 2019 - "North American International Motorcycle Show"
This is THE BIG ONE! All Seven Halls of the International Centre. Still North America's Largest Motorcycle Show! 425,000 square feet of exhibits! More info at Cyberspokes.com. The NEW 2019 Motorcycles, Over 1000 Motorcycles, Over 500 Exhibitors in 7 Halls, Special Guests, Huge Dealer Displays, Accessory SuperStores, Motorcycling Seminars, The BEST Shopping bargains, 3 Entertainment stages, 3 Themed Restaurants right in the Show, Canadian Motorcycle Heritage Museum and Hall of Fame, Canada Cup Showbike Competition, Legendary Race Bikes & Famous Racers, Tribute Display, Unique Feature bikes, The MAX Awards, Three Used Bike Markets, Complimentary copy of International Motorcycle Magazine, FREE Parking! At the International Centre 6900 Airport Road, Toronto Ontario Canada. Call 1-888-661-7469. Saturday January 5, 2019 - "GFY Saturday Biker Blues Matinee"
Bring your bike, car, truck or whatever! Come hang out with your BIKER FRIENDS and jam to live music with Freightrain! A great place for live music, sports, drink and food! More details at Cyberspokes.com. Voted BEST BLUES CLUB by Nightlife Magazine! 3pm at GFY Bar & Grill 1866 Colvin Blvd. Tonawanda, New York 14150. Only 5 miles away from American Harley Davidson. Phone 716-939-3243. Saturday January 12, 2019 - "GFY Saturday Biker Blues Matinee"
Bring your bike, car, truck or whatever! Come hang out with your BIKER FRIENDS and jam to live music with Dave Constantino Band! Dave Constantino has a tasteful & polished blues rock style that has made him a legendary Western New York and National Guitarist and Singer. More details at Cyberspokes.com. In the mid sixties he founded The Tweeds and wrote the 1967 regional hit “A Thing of the Past”. In the early seventies he joined forces with Drummer, Paul Varga and Bassist, Billy Sheehan to form the powerhouse trio, Talas. Talas became a Western New York success story and gained international recognition with classics like Dave’s song, “See Saw”. A great place for live music, sports, drink and food! Voted BEST BLUES CLUB by Nightlife Magazine! 3pm at GFY Bar & Grill 1866 Colvin Blvd. Tonawanda, New York 14150. Only 5 miles away from American Harley Davidson. Phone 716-939-3243. Sunday January 13, 2019 - "Alain Charlier Celebration of Life"
Please join us in celebrating the life of Alain Charlier aka Buffalo Bullet! Food will be provided with a cash bar. ALL are welcome! More details at Cyberspokes.com. 3pm-6pm at Sportsmens Tavern 326 Amherst St, Buffalo, New York 14207. Phone 716-874-7734. Saturday January 19, 2019 - "ABATE Buffalo/Erie Newsletter Party"
The best and biggest party of the Winter Season! EVERYONE IS WELCOME! Help support your RIGHT TO RIDE and fight cabin fever at the same time! ABATE is American Bikers Aimed Toward Education - Dedicated To Freedom Of The Road! This event helps raise funds to for us to fight for the rights of ALL bikers and their rides! Food, drink, door prizes, Chinese Auction and alot of fun! Chances to win TV's and other big ticket items! More details at Cyberspokes.com. Ticket price includes buffet by Lucarelli's, draft beer & soda, ABATE calendar and live music by Rock Bottom! $20 advanced ticket or $25 at the door. 3-9pm Matthew Glab Post 1477 at 1965 Abbott Rd. Lackawanna, NY 14218. Pick up an ABATE Lawn Sign too! If you can DONATE A RAFFLE PRIZE please call Amy 716-857-0453 or Annie 716-510-0205. *Join us for our 7:30 pm Membership Meetings the fourth Thursday of every month at The American Legion Post 735 at 35 Legion Pkwy. West Seneca, NY 14224. Saturday January 19, 2019 - "Triple Cities Chopper Club 13th Annual Swap Meet & Bike Show"
VENDORS NEEDED!! The Annual Triple Cities Chopper Club Swap Meet/Bike Show At Touch of Texas 1240 Front St. in Binghamton, New York 13901. 8 x 10 booth spaces are $30. Motorcycle related merchandise please. More details at Cyberspokes.com. Over 15,000 square feet! Show runs 10am-4pm. $5 donation at the door. Food, drink, music and more! Phone Tom Lasky 607-222-8757 or Mike Gentile 607-727-7793. Saturday January 26, 2019 - "GFY DVB Bikers & Blues Matinee"
Come hang out with your biker friends and jam with Dave Viterna! Dave has been playing guitar and singing professionally since 1979 throughout the WNY area and plays annually over 160 shows. A night with him could range from any number of his original songs such as the bluesy "Take a Good Look" to the tailwaggin' "Little Miss Perfection" along with great music from notables such as Allman Bros, Elmore James, Stevie Ray Vaughn, Jimi Hendrix, Howlin Wolf, and Eric Clapton, to name a few. And on any given night you still can hear great rock classics from bands like the Animals to the Doors to the Rolling Stones or classic Canadian acts like Neil Young. If you are looking for some variety and something with an extra punch you should make it a point to go experience the soulful guitar playing and vocals of Dave Viterna!! Get your motor running and ride on down. More details at Cyberspokes.com. 3pm at GFY Bar & Grill 1866 Colvin Blvd. Tonawanda, New York 14150. Phone 716-939-3243. January 25-27, 2019 - "Cleveland Ohio International Motorcycle Show"
Powersports enthusiasts from across the country can see the latest and greatest innovations, products and services, and aftermarket products, as well as the hottest new motorcycles, custom bikes, ATVs, scooters and more. Check out Cyberspokes.com for updates. Less than 200 miles from Buffalo! Last year's series attracted nearly 600,000 attendees who turned out to see the latest products that the industry had to offer. The series is supported by leading manufacturers: Aprilia, BMW, Buell, Ducati, Harley-Davidson, Honda, Husqvarna, Kawasaki, KTM, Moto Guzzi, MV Agusta, Piaggio, Star, Suzuki, Ural, Vespa, Victory and Yamaha. I-X Center One I-X Center Drive Cleveland, OH 44135. For more info call 800-331-5706. Saturday February 2, 2019 - "GFY Saturday Biker Blues Matinee"
Saturday February 2, 2019 - "Jamestown Harley Superbowl Party"
Calling all football fans to join us for a Super Bowl Party. Wear your favorite team jersey, enjoy some games, food and fun with us. Come have some fun with our employees and visit each department to see what is new for 2019. More info at Cyberspokes.com. Let's make our FIRST event of 2019 COUNT! WE ARE READY? THE QUESTION IS ARE YOU? Kids and Cancer Benefit is going to KICK OFF their bike reveal for the “Harley of Hope Raffle” at 12:30pm.Noon-2pm at Harley-Davidson of Jamestown 1951 E Main St, Falconer, New York 14733. Phone 716-484-0113. Sunday February 3, 2019 - "17th Annual Snow Buster Swap Meet"
Here you will find many tables filled with new and used vehicle parts, including rare and one-of-a-kind items, toys, racing gear and collectibles. Parts for ALL cars, trucks and bikes. Antiques, customs, rods and more. WNY's Largest Indoor Meet! More info at Cyberspokes.com. Over 250 vendors! This event is perfect for the Restorer, Hobbyist, or Collector. Be sure to visit the snack bar. Vendor space available. $7 Entry Donation To support our Scholarship Fund. Parking: Free. Free Bulletin board to advertise your event or vehicle for sale! The Fairgrounds Event Center 5820 South Park Ave., Hamburg, NY. 9am-3pm. Sponsored by Model "A" Restorer's Club Niagara Frontier Region. Call 716-337-0646. Saturday February 9, 2019 - "PMS Get Together"
Sons of Liberty RC, Dunkirk NY are hosting a PMS (Parked Motorcycle Syndrome) Get Together! Let's get rid of some winter blues and enjoy some biker friends. $5 which will include food, and a chance for the door prize. More details at Cyberspokes.com. 6pm at the VFW Post 1017 113 Deer St, Dunkirk, NY. Phone 716-680-5151 or 716-410-1212. Saturday February 9, 2019 - "American Harley Sip & Shop"
Come down and enjoy some food & drinks while you shop for that special someone! Valentine's Day is right around the corner you know. More info at Cyberspokes.com. 10-20% off regular priced in-stock Harley-Davidson Official Licensed Product purchases. 10am-3pm American Harley-Davidson 1149 Erie Ave, North Tonawanda, New York 14120. Phone 716-692-7200. Saturday February 9, 2019 - "Fare Trade 50th Anniversary Party"
Get out of the house and come rock out to some great music with your BIKER FRIENDS and family at Cabin Fever VIII!! It's a night you WON'T want to miss. FARE TRADE is best known for their unique blend of originals, epic covers, and southern rock styles. More details at Cyberspokes.com. Since reuniting in 2010 to celebrate a 30 year anniversary reunion concert, this three-guitar power house band, armed with all its original members, has been performing to sold-out shows wherever they set up shop. Limiting their engagements to selective venues, a FARE TRADE show is a foot-stompin’, bring the house down experience you do not want to miss. The band also unselfishly donates their talent and time to worthy fund-raising events throughout Western New York. Special guest, The Jacks! $20.00 pre sale, $25.00 Day of the show. This is a 21+ event! 6pm at the Events Center, Hamburg Fairgrounds. Phone 716-393-2730. February 9-10, 2019 - "Syracuse Cycle Expo & Super Swap"
The largest Motorcycle Showcase & Swap Meet under one roof in the North East! We're not kidding! This is HUGE! For more info checkout Cyberspokes.com. Buy new, build a Re-cycle Cycle, restore & rebuild! BARNFINDS! Sat. 11am-6pm, Sun. 11am-4pm. Door prizes and cash awards for custom bikes will be given away SUNDAY 3-4pm and you must be present to win! Center of Progress Bldg. NYS Fairgrounds Syracuse, NY. Phone 315-472-7931. February 15-17, 2019 - "Toronto Motorcycle Show"
The Toronto Motorcycle Show is the biggest manufacturers show in Ontario, with a wide-ranging and exciting line-up of exhibitors that celebrates the motorcycle lifestyle. From the open road, to the track and to the trail, this is your chance to see the newest models from the big names. Find everything you need for the season ahead, including bikes, aftermarket parts, gear, accessories and more! Talk to experts, join a riding club, plan your next motorcycle trip and meet awesome people who share your passion. More info at Cyberspokes.com. The Show is jam-packed with special features and events that are sure to please riders of all ages, including the kids. Enercare Centre 100 Princes' Blvd. Suite 1, Toronto, Ontario M6K. Phone 416-491-4449. Saturday February 16, 2019 - "Buffalo Baloo Harley Davidson Meet & Greet"
Looking for something to do before the 4pm Hard Tales Shake Off The Winter Blues Party? Join us 11am-3pm for a Meet, Greet & Kiss Baloo, the tri-pawed new mascot at Pin Ups for a Cause, as he was adopted thru the City of Buffalo Animal Shelter, we will be hosing a mini basket auction, selling Pin Ups for a Cause Calendars-and donating $5 for each calendar to the Shelter and collecting needed items for the shelter too! There will be specials on Harley-Davidson Clothing and Parts too! Join us and help welcome Baloo By giving back to the shelter! SEE YOUR SMILE THERE! 11am-3pm at Buffalo Harley-Davidson 140 Mid County Dr, Orchard Park, New York 14127. Phone 716-972-1556. Saturday February 16, 2019 - "Shake Off The Winter Blues Party"
IT'S BAAAAAK! Remember the cool Shake Off The Winter Blues parties at the Leonard Post in Cheektowaga? It's rising again! EVERYONE IS WELCOME! Live music by Steelhorse & BluRock! Food by Master's Barbecue! Drink, vendors, contest, raffles and more! More details at Cyberspokes.com. Please join us for a great cause! Revolving video by Nova Popovich. Ticket: $5 donation. Portion of proceeds to benefit WNY Patriot Guard! 4pm-10pm VFW Leonard Post 6251 at 2450 Walden Ave. Cheektowaga, NY 14225. Sponsored by Hard Tales Magazine, The Varysburg Hotel and Kantor Law Firm. Phone 716-725-2745. Saturday February 23, 2019 - "GFY DVB Bikers & Blues Matinee"
Come hang out with your biker friends and jam with Dave Viterna! Dave has been playing guitar and singing professionally since 1979 throughout the WNY area and plays annually over 160 shows. A night with him could range from any number of his original songs such as the bluesy "Take a Good Look" to the tailwaggin' "Little Miss Perfection" along with great music from notables such as Allman Bros, Elmore James, Stevie Ray Vaughn, Jimi Hendrix, Howlin Wolf, and Eric Clapton, to name a few. And on any given night you still can hear great rock classics from bands like the Animals to the Doors to the Rolling Stones or classic Canadian acts like Neil Young. If you are looking for some variety and something with an extra punch you should make it a point to go experience the soulful guitar playing and vocals of Dave Viterna!! Get your motor running and ride on down. More details at Cyberspokes.com. 3pm at GFY Bar & Grill 1866 Colvin Blvd. Tonawanda , New York 14150. Phone 716-939-3243. March 1-3, 2019 - "26th Annual Cavalcade of Cars & Bikes"
Motorcycles, Rods, Gassers, Customs, Classics, Custom Tuners, Race Prepared and more! Live music! Two buildings! "OLD S'COOL REVIEW". Vendors, contests and much more! Food & beer available. Retro Model Pinup Contest with cash awards! More details at Cyberspokes.com. Kustom Car Kulture, Live Rockabilly by The Blue Ribbon Bastards and The Hi Risers! Also Disco Duck and Terry Buchwald Elvis Show! 97-Rock's Carl Russo! Discount tix at Advance Auto Parts and K-S Automotive. Western New York's Hottest indoor Rod, Custom, Classic, Motorcycle and Retro Rod show. $13 admission, Children 6-12 $3, Under 6 free. Special 3-day adult pass $35. FREE PARKING! 5pm-10pm Friday, 10am-10pm Sat. and 10am-6pm Sun. The Fairgrounds Event Center (Agricenter) 5820 South Park Ave. Hamburg, NY. Contact Roger 585-503-5304 or Doug 585-469-5060. Saturday March 2, 2019 - "American Harley HD101"
Looking to get into the sport of motorcycling? Then this event is for you. Get everything you need to know from the proper riding gear you will need to, finding out what bike is for you and getting your motorcycle license. Already have your motorcycle license? Bring a friend that is not a licensed rider and you both will have a chance to win a $250 Gift Card!!! Gift Card Can't be used towards the purchase of a new Harley-Davidson motorcycle. American Harley-Davidson 10am-3pm at 1149 Erie Ave, North Tonawanda, New York 14120. Phone 716-692-7200. Then take the short 5-mile ride to GFY Bar for Live Music with Freightrain! Saturday March 2, 2019 - "GFY Saturday Biker Blues Matinee"
Saturday March 2, 2019 - "Jamestown HD Good Bye Winter, Hello Spring Workshop"
Join our Sales, Parts, and Service department for a Performance Workshop. We are saying Good Bye Winter, Hello Spring! Come see motor work and awesome customization on one of our demo motorcycles and learn about how you can add Harley-Davidson parts to your factory warranty. So many options to choose from, let us teach and show you how it can be done. Learn about our new finance rates and how you could purchase a NEW motorcycle with $0 Down, As Low As .99% APR, 60 months! More details at Cyberspokes.com. At noon, there will be lunch for anyone attending the workshop and for those who stored their motorcycle with us! We would like to thank you for trusting us in taking care of your motorcycles during the winter season! LETS GET READY FOR THIS RIDING SEASON! 11am-1pm at Harley-Davidson of Jamestown 1951 E Main St, Falconer, New York 14733. Phone 716-484-0113. Saturday March 9, 2019 - "GFY Saturday Biker Blues Matinee"
Saturday March 2, 2019 - "Genesee County HOG Chili Cook-Off"
This year the competition will once again be open to customers. If you think your chili stands out from the crowd we invite you to compete in this annual event. First place takes home a $100.00 Stan's H-D Gift card. 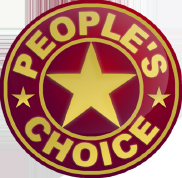 2nd and People's choice awards receive a $50.00 Stan's H-D gift card. More info at Cyberspokes.com. Stop in or call to sign up by March 1st. 11am-2pm at Stan's Harley Davidson 4425 W Saile Dr, Batavia (town), Genesee County, New York 14020. Phone 585-343-9598. Saturday March 16, 2019 - "American Harley St. Patricks Day Party"
Join us for our Annual St. Patrick's Day Party from 10a-3p! We'll have LIVE music from The Irish Volunteers, a live Irish Dancing performance, Basket Raffles, Food & Drink and more! More details at Cyberspokes.com. Plus spin the Wheel of Luck for prizes! 1149 Erie Ave. Tonawanda, NY 14120. 716-692-7200. Then take a short 5 mile ride to the GFY Bar for live music at 3pm with the Mercury Blues Band! Saturday March 16, 2019 - "GFY Saturday Biker Blues Matinee"
Bring your bike, car, truck or whatever! Come hang out with your BIKER FRIENDS and jam to live music with Mercury Blues Band! A great place for live music, sports, drink and food! More details at Cyberspokes.com. Voted BEST BLUES CLUB by Nightlife Magazine! 3pm at GFY Bar & Grill 1866 Colvin Blvd. Tonawanda, New York 14150. Only 5 miles away from American Harley Davidson. Phone 716-939-3243. Saturday March 16, 2019 - "Cleveland Piston Power Bus Trip"
SIGN UP NOW! Grand Tours will be providing the transportation with a Luxury Motor Coach. Depart Valu Hardware Plaza Porter & Packard Road, Niagara Falls Parking Lot at 6AM “SHARP”, Returning home approx. 10PM. The bus is also going to pick up in West Seneca. There is a 55 person limit. Cash will reserve your seat on the bus. Cost for the trip is $60 nonrefundable. This covers the cost of bus fare and a ticket to the show. Payment must be made in advance. No payments will be accepted on the day of the trip!!! Contact Marty Abramson at 716-285-6119 home or 716-425-2817. With more than 1,000 custom cars, trucks, bikes, tractors, military equipment, and vintage aircraft, it’s the largest show of its kind in the world! More details at Cyberspokes.com. The motorcycle area will be featured on the Main Floor and we will be inviting some of the top bike builders from across the country to be part of the show. Less than 200 miles from WNY! One I-X Center Drive Cleveland, Ohio 44135. So, load up the camera, grab a good pair of walking shoes. Get your reservation in ASAP. Saturday March 23, 2019 - "GFY DVB Bikers & Blues Matinee"
Sunday March 24, 2019 - "Ontario County ABATE Motorcycle Swap Meet"
Motorcycle parts, accessories, clothing, tools and much more! Food and beverages available. Admission $5 per person, under 16 free! Come see The Memorial Wall For Fallen Bikers! More info at Cyberspokes.com. Vendor Tables $25 each. Free parking. 10am-3pm at (NEW LOCATION) Canandaigua American Legion Post 256, 454 Main St. in Canandaigua NY. Phone Lynn Smith 585-733-9739. March 29-31, 2019 - "Buffalo Motorama Motorcycle Show"
We are filling a whole room at the Buffalo Motorama with just bikes and bike vendors! All types! Buffalo Motorama will be giving two random Bike Registrants a gift from Viking Cycle and Bags. Join us for the largest indoor custom car and bike show this side of New York! $2,500 awarded in cash & prizes! Enter Your Car, Truck, Bike, Tractor - Anything cool with wheels! Choppers, bobbers, old-school, customs, hot rods, late model, race, tuners, and much, much, more! Also see the top pinstripers in the area as well as bands all weekend long. Get your fill of Rockabilly, Nostalgic "Old School" drag, cruising, and So Cal Culture. Featuring Dennis Gage from My Classic Car and Trippin’ on Two Wheels, Lou Santiago from Car Fix and Dan Woods from Chop Cut Rebuild! More info at Cyberspokes.com. Meet Luke Duke (Tom Wopat) and The General Lee! Live Music in the Hot Rod & Open Wheel Room! Come to downtown Buffalo and party with the BIG SHOW! Food, beer and fun! Something for the whole family! Star Wars Characters and Superheros! The Buffalo Motorama Marketplace with a non-automotive area to browse the latest fashions, trends, and to pamper yourself. Buffalo Convention Center Information 153 Franklin Street, Buffalo, NY 14202 Buffalo, New York. Contact Joe at 716-222-2590. Saturday March 30, 2019 - "Chosen Few Spring Heat Party"
OK party people, it's been enough cold and ice ...time to party with the few and get this season going! Live music by Scarecrow Show! F#$K winter! More details at Cyberspokes.com. 8pm-Midnight at Chosen Few MC Clubhouse 1108 Rt 19 S, Wellsville, NY. (5 miles south of Wellsville). Phone 814-203-7356. Saturday March 30, 2019 - "All Wheels Swap Meet"
Swap Meet, Social Event, Food & Beer, Motorcycles, Cars, Related Collectibles, Vintage, Contemporary, Bike Corral, Performance Parts and Accessories! $5 admission, Only $15 for a 10x10 vendor spot! Free spaces for bike & car clubs! Reserve your spot today! More details at Cyberspokes.com. 11am-3pm at Rochester Main Street Armory 900 East Main St. Rochester, NY 14605. Phone Ron 585-748-8777 or Brian 585-349-3388. Monday April 1, 2019 - "Quaker Steak & Lube Buffalo - Cruise In at the Lube"
Live concert on our outdoor stage with Roy Clark, Aretha Franklin, The Monkeys and Prodigy! Cars, bikes, great food, drink, contests and more! 14X Rebel Radio will be broadcasting live! Motorcycle of the Month Contest and more! Mud Wrestling with King Kong Bundy, Wet T Contest with celebrity guests Dr. Christine Blasey Ford, Women's Self Defense Course with Harvey Weinstein, Free Identity Theft Protection Gift Certificate Raffle by Cambridge Analytica, Saudi Arabia Women's Stunt Show, Babysitting services on-site by R. Kelly & Michael Jackson, Low-rider Limbo Contest Cruise To The Young St. Bridge, Free One-way Ticket Vacation Raffle for 2 on a Boeing 737, Community Service Charity Raffle by Jussie Smollett, Lori Loughlin Scholarship Raffle, Gift Certificates from Ray Laks Motorsports, Free Wheeling Cycle (Military Rd. ), Lango Brothers Cycle (Southwestern Blvd. ), Hamburg Indian, Badd Mann's Cycle, Springville V-Twin, Biker Bazaar in Gowanda, Imperial Cycle on Broadway. 4am at Quaker Steak & Lube 6727 Transit Road Buffalo, NY 14221. For more info call Mike Hawke & Jackie Layshun at 716-208-8730 or Craven Moorehed, Jack MayHoff or Ben Dover at 716-852-4800. Saturday April 6, 2019 - "Gowanda Harley Motorcycle Swap Meet"
Let's see what you've got! Space is limited. Call 716-532-4584 now for a spot! We'll have stuff too! Non-current, take-offs, left-overs and left-behings! Food and drink available. Featuring a LIVE BROADCAST of Grott from Bikers Inner Circle Radio Station! 9am-2pm at Gowanda Harley-Davidson 2535 Gowanda Zoar Rd, Gowanda, New York 14070. Saturday April 6, 2019 - "Jamestown Harley Helmet Workshop & Ladies Luncheon"
Join our Motorclothes Department for their Helmet Workshop. Beth, will be highlighting all the features and benefits of the New Full Face H-D Helmet. Rider Reward Members will receive 5 pts for attending the workshop. April is helmet month and if it is time for you to upgrade your helmet, now is the chance to do so. More details at Cyberspokes.com. Let our MotorClothes ladies assist you on finding the best helmet that works best for you. MotorClothes will offer 20% OFF ALL IN-STOCK HELMETS starting April 1 - April 30. Let's get riding ready and safe. We also welcome all Ladies to join us for a ladies luncheon event. We will have our Fierce, Sales Manager, Charlene, demonstrate a motorcycle pick-up and we will have a tie dye station. We will have our Jumpstart available for use for all ladies to ride a H-D motorcycle. This is a chance for any interested, new or seasoned riders to come together as one and talk about a sport that we have all come to love or want to love. Please R.S.V.P. with our Marketing Manager, Jackdaleth Montiel. 1951 E. Main St. Falconer, NY 14733. Phone 716-484-0113. Saturday April 13, 2019 - "American Harley Gold Bar & Shield Award Celebration Party"
Join us to help celebrate being a Gold Bar & Shield Award Winning Dealer in 2018! More details will be posted to Cyberspokes.com soon. This award is given to the TOP FOUR dealerships in each US Regional Sales Market and recognizes those as one of the most elite in the country! 10am-3pm at American Harley-Davidson 1149 Erie Ave, North Tonawanda, New York 14120. Phone 716-692-7200. Saturday April 13, 2019 - "Stan's Harley Davidson BOOM Navigation Seminar"
10AM & 1PM. Members of the Genesee County HOG chapter will be presenting a seminar in our front showroom on using the BOOM! More details at Cyberspokes.com. 6.5 Navigation system and using the Harley-Davidson Ride Planner App. 4425 W Saile Dr Batavia, Genesee County, New York 14020. Phone 585-343-9598. Sunday April 14, 2019 - "Motorcycle Swap Meet at GCCC"
Our 5th Annual Indoor Motorcycle Swap Meet will be held from 9am -3pm at the Greater Canandaigua Civic Center 250 N Bloomfield Rd Canandaigua NY 14221. Find great deals on 1000's of Harley parts, motorcycles, riding gear and see parts from early kickers to new Milwaukee 8s. More details at Cyberspokes.com. This meet will be worth the ride and admission is still only $5. Food available, free parking. Phone 585-396-3688. Thursday April 18, 2019 - "Native Pride Rock'n'Blues Bike Night Season Opener"
Rock'n'Blues Bike Nights are back at Native Pride Travel Plaza starting early this year on April 18th, 6-9pm and now every 3rd Thursday of the month! On Opening Night, come see Jeremy Keyes Band playing all your favorite bluesy tunes while you walk our lot; checking out the Best looking Bikes in WNY. The "Best Bikes" Awards will go to: Best Paint, Best Chrome & Judge's Choice every 3rd Thursday of the month, those winners will be invited back to be judged for the Hard Tales Magazine "Radical Ride" Rooster Trophy giveaway on August 15th. Gowanda Harley-Davidson will be giving away a FREE TIRE to the winner of the the GH-D Burnout Pit Contest, free to sign up at the Native Pride Table. Trip for 2 to Biketoberfest Giveaway in Daytona, FL giveaway August 15th! You will also find the Native Pride Diner outside grill and drink tent near by, along with different raffles like a 50/50 hosted by "It Takes a Tribe" A Foster Care Service Project or basket auction where you will have the chance to win more prizes! We have BIG plans for this event and hope to see ALL of you here as we kick-off for the season! "Put a little Pride in your Ride," and fill up your bike, car or truck with the best priced fuel for miles! Native Pride Travel Plaza 11359 Southwestern Blvd. (Rt. 20) Irving, NY 14081. Immediately off Exit 58 on the NYS Thruway I-90. BYOB, on the Cattaraugus Indian Reservation. For more details, checkout the Biker Cruise Night section on Cyberspokes.com. Phone 716-934-5130 x113. Saturday April 20, 2019 - "420 Easter Biker Blues Matinee"
Bring your bike, car, truck or whatever! Come hang out with your BIKER FRIENDS and jam to live music with The Mercury Blues Band! A great place for live music, sports, drink and food! Voted BEST BLUES CLUB by Nightlife Magazine! 3pm at GFY Bar & Grill 1866 Colvin Blvd. Tonawanda, New York 14150. Only 5 miles away from American Harley Davidson. Phone 716-939-3243. Saturday April 20, 2019 - "Gowanda Harley 420 Earth Event"
We are going to put a little 420 twist on Earth Day! This is a day held to demonstrate and promote environmental awareness and calls for the protection of our planet. CBD products! Buy 4 items get 20% off! Stay tuned to Cyberspokes.com for updates and details! Gowanda Harley-Davidson 2535 Gowanda Zoar Rd, Gowanda, New York 14070. Saturday April 20, 2019 - "Jamestown Harley Keepin' It Sporty Workshop"
Join our Sales Manager, Charlene and Marketing Manager, Jackdaleth for their Keeping It Sporty Workshop. These two Gems, will compare a 2004 Model to a 2019 Model and let you know of the endless possibilities of accessorizing your Sportster. More info at Cyberspokes.com. Some great information for those interested in buying a Sportster, or any motorcycle enthusiast! Stop wasting your days at home and come out and meet our HDJ Family and have a good time with us. Enter to win a prize with us for attendance and Rider Reward Members will receive 5 points for attendance. Please RSVP with Jackdaleth. 1951 E. Main St. Falconer, NY 14733. Phone 716-484-0113. Thursday April 25, 2019 - "Anchor Bar Bikes, Blues and Cruise Season Opener"
The ORIGINAL Buffalo Wing! HUGE paved parking lot for bikes & cars! Food, drink, raffles, live blues bands on the patio and more! Weekly prizes for Hottest Bike and Coolest Car! Beer Specials and Tastings! 50/50! More details on the Cyberspokes Biker Cruise Night Calendar section. 6pm-9pm at 4300 Maple Rd. (Corner of Sweethome) Amherst, NY 14226. Phone 716-833-9464. Friday April 26, 2019 - "Bike & Cruise Night To Benefit Honor Flight Season Opener"
Proceeds from the event will go right to the Honor Flight Network of Buffalo Niagara, which helps WWII Veterans travel to their memorial in Washing D.C., a trip that these individuals would normally not be able to afford. Join us 5-8pm as we open our parking lot at The Made In America Store 1000 West Maple Court in Elma, NY, for our All-American Cruise Night - A free, family-friendly event that hosts all makes & models of Muscle Cars, Classic Cars, Motorcycles, and more! More details on the Cyberspokes Biker Cruise Night Calendar section. Phone 716-652-4872. Saturday April 27, 2019 - "Rocker Box And Jugs Swap Meet"
Live music, 50/50 raffle, food, drink and more. $4 admission. Kids under 12 are free. It's time to come out of your winter slumber and browse the many isles of motorcycle parts, accessories and biker attire that we crave all winter long! Clean up, tune up and rev up that pile of iron in your garage! More details at Cyberspokes.com. 10am-5pm at Leonard post #6251 VFW 2450 Walden Ave, Cheektowaga NY 14225 Tables are still available but are going fast! Contact Gary for info at 716-289-4933. Saturday April 27, 2019 - "Stan's Harley Davidson Swap Meet"
Do you have parts, tools, clothing, leathers, etc. to swap or sell? Feel free to set up your own table and/or tent in our parking lot on this day. More info at Cyberspokes.com. There is no fee for a spot, but you will need to bring your own tables. 9am-2pm 4425 W Saile Dr Batavia, Genesee County, New York 14020. Phone 585-343-9598. Saturday April 27, 2019 - "Springville Travelers Bonfire Party"
8pm, 21 and over. Fire when dark. Ceremonial bonfire to please the gods and spirits! For them to watch over us and keep us safe for the year to come. No dogs, cats or animals of any kind. Springville Travelers Motorcycle Club (STMC) was established on May 5, 1934 and continues to grow with each passing year. Today, the club offers a variety of fun events for everyone to enjoy. Poker Runs, Bike Shows, Field Meets/Motorcycle Rodeos, Bonfires, Chili Runs and more! More info at Cyberspokes.com. The Club is registered with American Motorcycle Association (A.M.A.) and has been a member in good standing since January 1, 1935. We’re a family oriented club and we have both men and women as members. 14340 Rt.219 Springville NY. Call 716-592-3199. Sunday April 28, 2019 - "FREE Breakfast For Bikers"
Come & warm up before the American Harley Bike blessing! Pancakes, sausage, juice & coffee. Free for all. Donation accepted. More info at Cyberspokes.com. Hosted by Biker Church. Sweeney Hose Volunteer Fire Company #7 at 499 Zimmerman St, North Tonawanda, New York 14120. Phone 716-695-2789. Sunday April 28, 2019 - "33rd Annual Niagara Falls HOG Bike Blessing & Polar Bear Dice Run"
Registration 10:30-12:00 at American Harley Davidson, 1149 Erie Ave, North Tonawanda, NY 14120. $15 per rider/ $5 per passenger, exciting new route, rain or shine, All Bikes Welcome!! Come out, support Niagara Falls H.O.G. (Harley Owners Group) and the local charities they support throughout the year. Great party at the Indoor end stop with live music by Tom Bender! More details at Cyberspokes.com. There will be 50/50, Door Prizes, Basket Raffle & Vendor Alley, 3 local food trucks: Soup Up, Fat Bob's Smokehouse & The Cheesecake Guy. Phone Sue 716-909-9246. Wednesday May 1, 2019 - "Bikers on Channel 7 Weather Outside"
Come join us at 5 pm for WKBW's Weather Outside broadcast! 7 Broadcast Plaza, Buffalo, NY 14202. Looking forward to seeing everyone to help our organization gain more visibility in the community! EVERYONE IS WELCOME! Help support your RIGHT TO RIDE and have a great time with ABATE - American Bikers Aimed Toward Education - Dedicated to Freedom of The Road. Help raise awareness of motorcycles on our roads. Support an organization that supports motorcyclist rights! More info at Cyberspokes.com. The main purpose of the ABATE organization is to work toward continued freedom of the road by insuring that motorcyclists' point of view is presented to our legislators and to promote motorcycle safety, rider education, and awareness. Phone 716-335-6613. Wednesday May 1, 2019 - "Holland Willows Bike Night Season Opener"
Every Wednesday 5-9pm. Food & drink specials, $10 Beef & Brew with our famous sirloin on weck with a bottle of beer! Dedicated motorcycle parking up front and live music with The Alex James Duo on the deck! Monthly prize giveaways! Checkout the Biker Cruise Night section on Cyberspokes.com for more details. Choose from our imported, domestic or craft draft, over 27 varieties of bottled beers as well as a fully stocked bar. 177 Savage Rd. Holland, NY 14080. Less than 10 minutes from the 400 Expressway right of the NY-16 South. Phone 716-537-9070. May 3 & 4, 2019 - "Jamestown Harley Spring Opener & Swap Meet"
Thinking about selling your Motorcycle? In conjunction with our Live Free [er] Spring Opener, bring your motorcycle down Saturday and put it on display. We will offer biker to biker financing for those interested in buying your motorcycle. More details to come. We are also having our 3rd Annual Sunday SWAP MEET! Have any scraps, parts and or junk ( an other man's treasure) you are trying to get rid of come join us for our Swap Meet and Spring Open House. Reserve your spot today! $20 for covered area/ $10 for grass area. All proceeds will be donated to Kids & Cancer! Set up begins at 8:00am and will be open to the public at 9:00am. 9am-2pm at 1951 E. Main St. Falconer, NY 14733. Phone 716-484-0113. Saturday May 4, 2019 - "29th Annual ABATE Buffalo-Erie Safety & Awareness Run"
EVERYONE IS WELCOME! It is also International Female Ride Day! Help support your RIGHT TO RIDE and have a great time with American Bikers Aimed Toward Education - Dedicated to Freedom of The Road. FREE RUN! Assemble 10AM to Noon at The Rath Building, Downtown Buffalo, New York! Come and listen to our leaders speak on MC Safety. Help raise awareness of motorcycles on our roads again. Support an organization that supports motorcyclist rights! Parade style, police-escorted ride will follow the guest speakers. MC Safety and Awareness is paramount to all that ride for today. Ride for tomorrow. More info at Cyberspokes.com. The main purpose of the ABATE organization is to work toward continued freedom of the road by insuring that motorcyclists' point of view is presented to our legislators and to promote motorcycle safety, rider education, and awareness. You do not have to ride or be a member. Phone 716-335-6613. Saturday May 4, 2019 - "AMVET Riders Post 897 - 5th Annual Spring Breakout Run"
Registration 10:30 am - Noon, KSU at Noon at the Thomas E Tehan, American Legion Post 1449, 2075 Electric Ave., Blasdell, NY 14219 $10.00 each person (Includes 1 plate of Food) Various Vendors, 50/50's, Door Prizes and Silent Auction Entertainment provided by "On The Verge". More details at Cyberspokes.com. Proceeds to benefit The Warrior House of WNY - The Warrior House of WNY is a 501c3 (2016) Veterans Service Organization and Farm, located in Orleans, Niagara County in Western NY. The Warrior House of WNY organize hunts for wounded Vets and children who have lost their parent in war. The farm consists of nearly 1500 acres dedicated to hunting for geese, ducks, turkey, deer and pheasant. With the help of fundraising events and community support, The Warrior House quickly expanded its services to include hosting of hunting trips on remote sites, fishing expeditions, temporary housing for veterans, and a Christmas gift distribution program that provides gifts for the children of military service personnel. Please come out and help us support The Warrior House of WNY so they can continue to support our Veterans and their families. All are welcome - BIKES, CARS, etc. Contact Chris Drzal at 716-392-3567. Saturday May 4, 2019 - "Gowanda Harley Spring Open House"
Calling all free spirits. You’re invited to Open House at Gowanda Harley-Davidson featuring the HD demo bikes, CFMoto demos, Lloyd Taco Trucks, pinstriping, vendors & More! More info at Cyberspokes.com. Bring a friend. Bring your family. And join us for Open House at GHD!11am-2pm at Gowanda Harley-Davidson 2535 Gowanda Zoar Rd, Gowanda, New York 14070. Phone 716-532-4584. Sunday May 5, 2019 - "36th Annual Fort Erie Motorcycle Swap Meet"
The Fort Erie Motorcycle Swap takes place just 8 miles across the Peace Bridge! At 99 Ridge Rd South starting at 10 am. Relax at the border, they love the meet, tell the truth and you zip through.This the biggest Motorcycle swap meet in Eastern Canada! What makes it unique is the Canadian National Biker Tear Down. This contest pits one of you fine Americans against one of our choice Bikers to take place in a timed event tearing a bike apart to win the coveted Trophy currently being held hostage in Dainsville NY. More details at Cyberspokes.com. We want it back. Game on People. The contest stands at 2-1 for you guys. We all raised $6,000 so far. Both side's split the pot with your side giving their share to the Food Bank of WNY Motorcycle Run & Car Cruise-In! We have a Bike Bash and all kinds of New Used and Abused Parts. Call Shawn for info 1-289-686-67697, its your event to support, see you there. Tuesday May 7, 2019 - "Hat Trix Cruise & Bike Night Season Opener"
May - Sept Beginning May 7th 2019 and the first Tuesday of the month, come out to Hat Trix Bar & Grill and join the Viet Nam Vets Legacy Vets for Cruise Night! From 6pm-10pm enjoy 2 for $2 tacos, $2.50 domestic bottles, live music, and a 50/50 drawing to benefit Operation Zero, a nationwide organization dedicated to stopping veteran suicide. More info at Cyberspokes.com. Hat Trix is the place to be, where having a good time is our main priority! 4923 Southwestern Blvd in Hamburg. Phone 716-649-0909. Tuesday May 7, 2019 - "Turtle Joe's Bikes and Bikinis Season Opener"
Turtle Joe's Sandbar presents Bikes and Bikinis Every Tuesday Night starting May 7th, 2019 till our season ending party Saturday September 21st. Come enjoy our wonderful 2 tier deck, 2 full bars, beautiful sunsets, great bands starting at 6:30,and more. Happy hour 5:30 to 6:30 2 for 1's, Appetizer special, buy any 2 drinks get 1 appetizer free. Weekly Best of Show Bike Contest with prizes, and with season winner receiving a trophy designed by Steel Crazy Iron Art and more at season ending party.This years benefactor for 50/50's will be donated to K.I.A. Helping Veterans and their Families. With Designated Bike parking up front on our Paved parking lot. Tell your friends this is the Bike Night to attend! Remember this is not your typical parking lot Bike Night. Sponsored by The Kantor Law Firm and Certified Pet Solutions. For more details, checkout the Biker Cruise Night section on Cyberspokes.com. 8966 Lake Shore Rd. Angola N.Y. 14006 716-549-3026. Saturday May 11, 2019 - "11th Annual Ron Thomas Memorial Ride and NY 36 Dice Run"
Red Knights New York 36 announce that our annual Ron Thomas Memorial Ride and NY 36 Dice Run is moving to Saturday May 11, 2019! Kickstands up at 11:00. On site registration opens at 0900 to 1045 for mandatory sign in (for all riders, cannot be done earlier). We will have 50/50 raffle and Silent Auction usually have 30+ "baskets" for this silent auction. Also listed on Cyberspokes.com. This ride will be starting at the Dyke Hose Company #2 Fire Station on East Hanover Street, Wellsville, NY. Pre-Registration (you get a ride tee shirt) deadline is April 12, 2019. You can still Register after April 12 & the day of the Ride but no ride tee shirt. For more information please go to our web site www.redknightsny36.org click on the Ron Thomas Memorial Page to print off ride flyer and pre-registration form. Mail Pre-registration to address on Pre-registration form. For more information contact President Brian Ennis at President@redknightsny36.org or Steven Griffith at 716-933-6174 leave message it will be returned within 24 hours (work schedule). Saturday May 11, 2019 - "1st Annual Bikers For St. Jude Motorcycle And Hot Rod Blessing"
Registration $10 starts at 10am blessing at Noon, kickstands up at 12:30 to party after at The Brothers of The Road MC Clubhouse in Silver Creek! 100% of the profits after all related expenses benefits St Jude Children's Research Hospital. More details will be posted on Cyberspokes.com. Starts at the Large Pavillion at Point Gratiot Park Dunkirk, New York 14048. Phone David Woodward at 716-785-1245. May 11 & 12, 2019 - "American Harley Spring Open House & Demo Truck"
Demo rides are a popular and exciting way for riders to experience first-hand the power and performance of a Harley-Davidson motorcycle. The Harley-Davidson Demo Truck rolls into town and sets up shop at American Harley-Davidson, allowing riders to experience seventeen of the new 2019 models straight from the factory, including the all-new FXDR 114 model. More details at Cyberspokes.com. If you’ve never experienced a Harley-Davidson motorcycle, want to experience the Milwaukee-Eight engine or have been thinking about upgrading your ride, this is your opportunity. Test rides are completely free of charge. Just show up with your motorcycle license and proper riding gear. At American Harley-Davidson 1149 Erie Ave, North Tonawanda, New York 14120. Phone 716-692-7200. Monday May 13, 2019 - "Kettles Kruise Night Season Opener"
Motorcycles always welcome! DJ, beer tent, grill, door prizes, 50/50, paved back lot and more! $2.50 canned Labatt beer and $4 wine! Also out on the grill we will have $3 Hot Dogs, $4 Burgers or Cheeseburgers, $5.50 Sausage with cheese or Peppers & Onions or both! 5pm-8:30pm weather permitting. We wlll also be doing Live Music inside on certain days as well with the Live n Kickin band from 8-11. Proceeds from the 50/50 go to The Food Bank of WNY! Get your KETTLES KRUISE SHIRTS while supplies last! Free family friendly & community event! No pets please. Awesome neighborhood bar, great pub food & prices, amazing bartenders and did we mention Best Wings in Southtowns! Full kitchen menu & bar inside! All the fun on Mondays is at Kettle's Corner 3719 Abbott Rd. Orchard Park, NY 14127. At Webster Rd. Right down the street from New Era Field! If weather cooperates, we will be doing a Memorial Day Kruise Monday May 27th this year! For more details, checkout the Biker Cruise Night section on Cyberspokes.com. Phone 716-648-4524. May 17-18, 2019 - "51st Annual Dunkirk Swap Meet & Flea Market"
Since the the Niagara Swap Meet is gone this year, Dunkirk will most likely be BIGGER THAN EVER! Acres of parts, vehicles, vendors, antiques and other stuff for sale! Parts for motorcycles, cars, trucks or whatever! Food, beer, live music and more. Chautauqua County Fairgrounds, Dunkirk, NY. More info on Cyberspokes.com. Indoor and outdoor spaces available! Presented by Chautauqua Lake Region AACA (Antique Automobile Club of America). Cruise-In Show Sunday. First 100 cars get a Dash Plaque! Clean out your garage and get some cash! Car Corral. Fri. & Sat. 8am-8pm. Free Admission, $5 parking. 1089 Central Ave. (1 mi. from I-90 exit 59) Dunkirk, NY. Contact Nancy 716-489-4868. Saturday May 18, 2019 - "NCMC Open House"
Noon-6pm, Rain or Shine! $5 at the gate. Food and refreshments available. Niagara County Motorcycle Club (NCMC) was established way back in 1940. If you are attending on anything more than 3 wheels park out front. There will be a number posted to call and receive a ride down the entrance road. Room at the club house for bikes and trikes only. More info at Cyberspokes.com. The clubhouse is located at 4371 North Ridge road (rt. 93) Lockport, NY 14094. Enter on RT 93, North RT 104. Phone 716-579-3999. Saturday May 18, 2019 - "Hogs and Heroes Foundation NYS 8th Annual Dice Run"
Roaring To The Falls! Help us support our 2019 Beneficiaries S.E.R.V. Niagara (Housing and Support Services for Veterans and Families) and Crisis Services! Bike Run registration 8:30am til 10:30am at Bob Weaver Motorsports 3400 Niagara Falls Blvd, North Tonawanda, New York 14120. KSU 11am. More info at Cyberspokes.com. Join us at Noon at The Knights of Columbus Event Grounds 755 Erie Ave. NT for food, live music by Steelhorse and basket raffle, vendors and a great time! $10 driver, $5 passenger. The Hogs and Heroes Foundation is a community of motorcycle riders that supports Public Safety and U.S. Military and Wounded Warriors. Phone 716-218-0853. Saturday May 18, 2019 - "Sons of Liberty RC Dunkirk Bike Blessing"
Registration starts at 9 with KSU Noon. Start at VFW Post at 113 Deer St. Dunkirk, NY 14048 (across from Tim Hortons). The ride will end at the same location with food, basket raffles, 50/50, live DJ and karaoke! More info at Cyberspokes.com. $15 rider, $5 passenger includes food at end. Meal and party only (no ride) $10. Phone Mark Grupa, Pres 716-785-0636 or Kevin Pearl, VP 716-401-9161. Saturday May 18, 2019 - "Chosen Few Road Day Party"
Bring in riding season the right way...with THE FEW!! Featuring the best rockin blues in western New York, The Jeremy Keyes Band! More info at Cyberspokes.com. 7pm at the Chosen Few Wellsville Clubhouse 1108 State Rt. 19 Wellsville, NY (5 miles south of Wellsville). Phone 814-203-7356. Saturday May 18, 2019 - "Motorcycle Safety School Hiring Open House"
Motorcycle Safety School (MSS) is hosting an informational Open House on becoming a motorcycle instructor! This is an excellent part-time job that allows for schedule flexibility and to inspire new motorcyclists! Our locations are in West Seneca, Jamestown and Sanborn and we are hiring for all locations! More details at Cyberspokes.com. Come and meet certified instructors to learn more about this opportunity and tour our West Seneca facility. Light refreshments will be provided. 6pm at 1600 North America Dr. West Seneca, NY 14221. Phone Sonja at 716-542-3808. Sunday May 19, 2019 - "38th Annual Lonelyones MC Motorcycle Blessing"
Gates open at 10 AM at the McKinley Mall (3701 McKinley Pkwy, Blasdell, NY 14219) with the blessing at 1PM. After Party at the Newton-Abbott Grove at 3426 Abbott Rd, Orchard Park, NY 14127. All motorcycles are welcome! Food and drinks available. More details at Cyberspokes.com. Live music with The Iron Eyes Experiance! $10.00 Donation per person. Portion of the proceeds benefit Cornerstone Manor and Comforting Hugs. Tickets are available for our Motorcycle Lift Raffle (see any LOMC member). No dogs allowed! Any questions, call 716-444-4201 or 716-649-1829. Our Fall Pin Party will be on Sept. 7, 2019. Sunday May 19, 2019 - "3rd Annual American Legion Post 264 Bike Blessing"
Registration from 10:00 to Noon. Food from our newly opened kitchen and Adult Beverages available. All proceeds will go to WNY Veteran Causes. Self ride a great route, come back for group Blessing from a Military Minister. Best Chapter Trophy awarded. More info at Cyberspokes.com. Registration will be at Post 264, 43 Main St. Tonawanda. $15.00 for Riders. $5.00 for passengers. Phone Bill Paton 716-208-5211. Sunday May 19, 2019 - "LAMA Meet & Greet"
Raffles, music, food, bake sale, LAMA Youth and family friendly! Latin American Motorcycle Association (LAMA) of Buffalo NY is a nonprofit organization who is devoted to making a difference in the community. More info at Cyberspokes.com. We participate in and organize many charity events, we are family oriented and encourage our Ladies to ride their own motorcycle. Lama is a world wide Association. 11am-3pm TNT Cycle & Powersports 1685 Military Rd Buffalo, New York 14217. Motorcycle Run at 4pm to Silo's Restaurant in Lewiston! Phone Lisa at 716-536-7119 or Felix at 716-948-0861. Monday May 20, 2019 - "23rd Annual ABATE Annual Freedom Rally in Albany NY"
Mark your calendar and take the day off work! This is important to all bikers! Ride with us from Buffalo to The Capitol and fight for your rights! ALL Motorcyclists Welcome! ABATE of New York Inc. is a state legislative, lobbyist, and motorcycle rights organization. It is critical that we peacefully demonstrate our determination to protect our freedoms both as citizens and as motorcyclists. It is also necessary to impress upon Albany (in numbers) that we ride and we VOTE, and we care about what happens with our government. The impact we can make on the state politicians is of great importance to our organization and to all motorcyclists across the state and nation. For times and details go to Cyberspokes.com. We need to keep this movement alive so the politicians will continue to acknowledge us as an increasingly influential voice within their voting districts. This is your opportunity to speak directly with the politicians who have the power to make decisions that affect our rights. Ride to Albany, and make a statement. Call for exact times and more details at 716-335-6613. May 24-27, 2019 - "Brothers & Sisters In The Wind Memorial Day Weekend Campout"
At The Hogarosa we Remember our Brothers & Sisters in the Wind. Do you have someone on the Wall? The Wall of those we Love and Miss. A Weekend get-together to Hang! Rainman will be there blasting tunes all weekend. Camping, Bon Fire and Movie Under the Stars. BYO. Bring a dish to pass for Saturday! THE HOGAROSA is a place to Party like there is No Tomorrow! Or just Relax, Old School, No Rules other than respect each other and THE HOGAROSA. On Monday we will Ride to Sprague Brook Park to HONOR OUR VETERANS! For the Bikers, By the Bikers. It's a Place to be Free! It's on Top of the World. More details at Cyberspokes.com. A Campgrounds with trails, plenty of shade, and two beautiful spring-fed Ponds, one to Swim in and one to Fish! Horse Shoes, Paddle Boats, Clean Johnnies & Hot Showers! Open for Private Parties, Camping, Weddings, MC Events, concerts and more. Two Great Destinations in one place! Hogarosa Campgrounds & The Hog Farm, Custom Motorcycle Shop, Since 1969. Rt. 219, Genesee exit, to Summit Lane, off Drake, to dead end, to Hogarosa Lane Springville, NY. Erie County Approved. Only 3 miles from down town Springville, NY. Phone Grott at 716-289-1004. Saturday May 25, 2019 - "13th Annual Memorial Weekend Dice Run"
Start and Finish will be at the Wyoming County Veterans Club at 245 West Buffalo St. Warsaw, NY 14569. Registration Starts at 10am, Kickstands up at 1130am, stopping at Legion Posts and Veterans Clubs in the area. $15 for Riders, $10 for passengers, $10 for non-riders. Cost includes coffee and doughnuts in the morning and Hot Dogs, Hamburgers, Mac and Potato Salads upon return to the Club. Beverages will be available from the Bar. Their will also be a Basket Raffle and 50/50 split drawing. The Wyoming County Legion Riders Post#532, along with the Post#532 family, the Wyoming County American Legion family and the Wyoming County Veterans Club are sponsoring this event this year to raise money and awareness for Veterans in need in our community. More details at Cyberspokes.com. This is a great way during the Memorial Day Weekend to help out our Veterans who have sacrificed so much for us to enjoy the holiday and to thank them for their service to our great country. Please come out and support our Veterans. Contact me at John Ryan 585-322-0007. Sunday May 26, 2019 - "The 10th and FINAL Mike Trzepacz Motorcycle Run & Blessing"
The organizing committee has decided this will be the FINAL year for our run. Each year we have tried and succeeded to keep this run fresh with different routes and new ideas to make it memorable for all our riders. And, we think we have accomplished this goal. So, we promise you this will be the biggest and best run we have ever had. With your support over the last 9 years we have raised over $100,000 for charities that were dear to Mike. This year all our proceeds will be donated to the Lake View and Lake Shore Volunteer Fire Companies. The Silver Creek Fireman's Club and Make A Wish of W.N.Y. More info at Cyberspokes.com. Registration fee is $25.00 for rider and $15.00 for passenger. The registration fee includes the collectible 10-year commemorative pin and chicken barbecue dinner. Registration will be at the Lake Shore Fire Company on the corner of Route 5 & Rogers Rd. from 9:00 - 10:45. Kickstands up & blessing at 11:00. The run ends at the Lake View Fireman's grounds in Lake View where the after party starts at 3:00. The after party is open to the public at no charge. There will be live music, Chinese auction, raffles, dinner, live auction, vendors, and beer tent. Pre-registration is available at a discounted rate! Phone P.J. Farrell at 716-870-5356. Monday May 27, 2019 - "Memorial Day Run to Sprague Brook Park"
Our annual Memorial Day Run to Sprague Brook Park starts from the American Legion 362 at 1 Legion Dr. (at Center Rd.) East Aurora, NY 14052. Start: 9:30 Sharp. Rain or Shine! The East Aurora American Legion will be open for Memorial Day. More info at Cyberspokes.com. They are hosting a chicken barbecue in the afternoon. Eat in or Take out. This event is open to everyone. Police Escorted Free Ride. All of the memorials including flag poles, concrete work, benches, artwork and flags have been installed at Sprague Brook Park thanks to the members of Amvets Post 219 Boston, NY! Contact Michael McGuire at 716-510-1614 or Ray Herter 716-796-3915. Monday May 27, 2019 - "Varysburg Hotel Annual Memorial Day Party"
Join us after Sprague Brook for food, drink, vendors and live music on the outdoor stage! If you haven't been to this event yet, you don't know what you are missing. It is HUGE! Take a nice country ride out to the "Burg" Small Town USA at The Varysburg Hotel! Where Andy of Mayberry meets Easyriders. For more info go to Cyberspokes.com. Keith would like everyone to give a warm welcome to the new owner Samantha Olivera! Sam will keeping up with the Varysburg Hotel tradition that we all know and love! All the fun starts at 1pm at 2486 Route 20A Varysburg, NY. Phone 585-535-0300. Wednesday May 29, 2019 - "Bikers on Channel 7 Weather Outside"
May 31-June 2, 2019 - "21st Annual Gowanda Happening"
WNY's largest Motorcycle Rally! 3 days of fun! Virtual to Live Motorcycle Show, Motorcycle Stunt Show, Live music, Tattoo Contest, Bike Parade and more! More details at Cyberspokes.com. Win a 2019 Harley-Davidson Iron 1200 or 2019 CF Moto ZForce 500 Trail side by side! Beer Tent, Wine Slushies, Food, Vendors, camping, Biker Games, HD Demo Rides, Riding and more! Benefits the Gowanda Volunteer Fire Company. 39 West Main Street, Gowanda NY 14070. Phone 716-532-4584. Saturday June 1, 2019 - "11th Annual Michael Hintermeier Memorial Bike Run"
Proceeds from this event go to Wings Flights Of Hope. The bike run leaves the Wings Grove 3964 California Road O.P. at 11:00 sharp rain or shine. There are plenty of prizes given away throughout the day. More info at Cyberspokes.com. Benefit starts at 4pm back at the Wings Grove, tickets are $25 presale and $30 at the door and include beer, pop, wine, food by BW's BBQ and live music by Creeping Jenny! There's a huge Chinese auction, along with many other raffles and give aways. Contact Jim 716-949-5005. Saturday June 1, 2019 - "11th Annual Eric Laufer Motorcycle Awareness Run"
Eric was tragically killed on his motorcycle by a hit and run driver in 2008. Our annual fundraiser for the Eric Laufer Music Scholarship, aiding music programs and young musicians locally in the NY state area. A $20 donation, pre ticket sales, or at the door includes a full day of music, vendors, raffles, food and drink. More info at Cyberspokes.com. Live music by Buffalo's Legendary Tony Scozzaro, Rock Bottom and more bands to be announced! We will be proud to present this year's scholarship winners to you at the event! 50/50 raffles and Chinese auction run thru-out the day. The motorcycle run starts at Noon, followed by a fundraiser 3-9 Carriagers Social Club 224 Fisher Rd. West Seneca, NY. Phone Great Plate Glass at 716-668-5213. Saturday June 1, 2019 - "4th Annual 1776 Volunteer Riders 100 Mile Run"
ALL proceeds go to Batavia VA PTSD Clinic and Genesee County Justice For Children Center! Staging at Stan's Harley Davidson 4425 W Saile Dr, Batavia, NY 14020 at 9AM. $15 for the driver and $10 for the passenger, children are free. More details at Cyberspokes.com. KSU at 11am, run ends at The Rose Garden Bowl 21 Buffalo Rd. (Rt. 33) Bergen, NY where food and beverages will be available. Beginning at Stan's there will be a Chinese Auction (ending at The Rose Garden). The 1776 Volunteer Riders Group endeavors to promote, support, and provide assistance to the Members and families of our Community the United States Military, Law Enforcement, Fire Fighters, First Responders, and Patriots We also support and provide assistants to the elderly, disabled and other charitable organizations that provide a service and or benefit our Nation, our State and the WNY Community. Phone 585-356-9981. Saturday June 1, 2019 - "Allegany Riders BIG BEAR HUG Teddy Bear Run"
Kickstands up at 11:00 am, leaving the Allegany American Legion, Charles Harbel Post 892, 4350 NYS Route 417, Allegany NY. When you each bring a NEW, UNUSED stuffed toy - $15/rider, $5/passenger - without $20/rider, $10/passenger. More info at Cyberspokes.com. FOOD/BAND/RAFFLES to follow. All donations and proceeds to benefit the Olean General Hospital in purchasing FETAL MONITORS for the pediatrics unit. Phone Brett Marvin 716-373-7252. Sunday June 2, 2019 - "ABATE Buffalo/Erie 20th Annual COPS Run"
EVERYONE IS WELCOME! Please join us in remembering and honoring all officers lost in the line of duty. C.O.P.S. is Concerns of Police Survivors. Each year, between 140 and 160 officers are killed in the line of duty and their families and co-workers are left to cope with the tragic loss. C.O.P.S. provides resources to help them rebuild their shattered lives. Registration 10:30-Noon. More info at Cyberspokes.com. $10 rider, $5 buddy. Sign up at American Legion Post 735 at 35 Legion Pkwy. West Seneca, NY 14224. Ending at The Armor Inn Tap Room 5831 Abbott Rd. Hamburg, NY 14075. Live music, baskets of cheer to be raffled, Food Specials will be available! ABATE is American Bikers Aimed Toward Education - Dedicated To Freedom Of The Road! Phone 716-335-6613. Sunday June 2, 2019 - "Legion Riders 1460 - 3rd Annual PTSD Benefit Dice Run"
Registration 9:30-11a.m. at American Legion Post 1460, Machias, NY. This is a self guided run, There will be stops at various American Legions in the southern tier and returning to Machias where there will be food, live music with "Ambush", 50/50, door prizes and Chinese auction. Last year was great, come on out and help us make this year even better. More details at Cyberspokes.com. Come ride with us to support the Batavia VA PTSD clinic, ALL ARE WELCOME. 100% of proceeds go directly to the patients of this very worthwhile program. NOT ALL WOUNDS ARE VISIBLE! $20 rider/ $15 passenger. For more info contact Jim 716-572-9884 or Lew 716-515-8360 or Amy 716-707-2033. Saturday June 8, 2019 - "NCMC Hog Roast"
Noon-6pm, Rain or Shine! $20 admission includes food, refreshments, and live music! Niagara County Motorcycle Club (NCMC) was established way back in 1940. If you are attending on anything more than 3 wheels park out front. There will be a number posted to call and receive a ride down the entrance road. Room at the club house for bikes and trikes only. More info at Cyberspokes.com. The clubhouse is located at 4371 North Ridge road (rt. 93) Lockport, NY 14094. Enter on RT 93, North RT 104. Phone 716-579-3999. Saturday June 8, 2019 - "The 21st Annual Blues Cruise"
Come enjoy the hottest party of the summer! 1pm-9pm Tonawanda Fireman's Park 318 Two Mile creek Rd Tonawanda NY 14150. Live Music, Car/Bike Show, Chinese Auction, 50/50, Beer and food, Vendors! More details at Cyberspokes.com. Portions of the proceeds to benefit the WNY Veterans Housing Coalition. Presale tickets are available $10. We are also looking for merch vendors! Contact Cody at 716-474-5279 for info. Saturday June 8, 2019 - "Wheatfield American Legion Riders Joe Connell Memorial Dice Run"
Starts and Ends at Wheatfield American Legion Post 1451, 6525 Ward Road Sanborn, NY 14132. Registration starts at 11:00 am first bike out at Noon. More details at Cyberspokes.com. Enjoy a scenic ride through Niagara County. Donation $15 bike $5 passenger, food included, 50/50 before first bike out. To benefit Veteran Charities. Phone 716-731-4712. Saturday June 15, 2019 - "Springville Travelers MC Kids Charity Run"
To Benefit Warm The Children! Sign-in 10:30-Noon. Gate and Food donations all go to Warm the Children! Springville Travelers Motorcycle Club (STMC) was established on May 5, 1934 and continues to grow with each passing year. Today, the club offers a variety of fun events for everyone to enjoy. Poker Runs, Bike Shows, Field Meets/Motorcycle Rodeos, Bonfires, Chili Runs and more! More info at Cyberspokes.com. The Club is registered with American Motorcycle Association (A.M.A.) and has been a member in good standing since January 1, 1935. We’re a family oriented club and we have both men and women as members. 14340 Rt.219 Springville NY. Call 716-984-8278 or 716-597-8872. Saturday June 15, 2019 -"Louis J. Billittier Foundation 15th Annual Motorcycle Run & Raffle Party"
Only 400 tickets will be sold for a chance to win a brand new 2019 Indian Chief Dark Horse or the cash equivalent!! Your $100 ticket includes a chance to win the bike or cash, Motorcycle Run, plus entrance for 2 people to the Raffle Party with food and drinks from 3pm at Chef's Restaurant at 291 Seneca Street, Buffalo NY 14204. More details at Cyberspokes.com. Vendors, raffles and more are included. Bike Run is 8:30 am Registration at Chef's Restaurant with 10 am sharp Departure. Run ends at the Raffle Party at Chef's Restaurant. Winning hand receives $500. Run and party only $30 plus $10 for extra rider. Motorcycle will be on display in Chef's Restaurant lobby and tickets can be purchased at Chef's or by calling 716-856-9187. Saturday June 15, 2019 - "Fifth Annual Critter Cruise Dice Run"
100% of proceeds benefit E.A.R.S! Empire Animal Rescue Society receives dogs, cats, puppies, kittens, bunnies and other furry friends in need of homes. All motorcycles and autos welcome! Bring a donation of food or litter and you will be entered into a special drawing! More info at Cyberspokes.com. 50/50 raffle, Chinese auction, DJ music and more! Registration 9:30-11am at American Legion Post 531 5899 NY-353, Little Valley, NY 14755. $15 driver, $15 passenger. Food provided. Kickstands up at 11 am. Phone 716-397-5861. Sunday June 16, 2019 - "American Harley Fathers Day Ride"
Give Dad what he REALLY wants for Fathers Day, LET HIM RIDE! More details at Cyberspokes.com. Registration 10am-11am at American Harley-Davidson 1149 Erie Ave, North Tonawanda, New York 14120. Phone 716-692-7200. Saturday June 22, 2019 - "Stan's Cruise-In Car & Bike Show"
After a few years off we are bringing back our cruise-in car & bike show. There will be several different trophy categories. Participation is free. All participants will receive a show magnet and a food voucher. There will be a food, door prizes, and a charity 50/50 raffle (charity yet to be determined and will be posted on Cyberspokes.com). 11am-3pm at 4425 W Saile Dr Batavia, Genesee County, New York 14020. Phone 585-343-9598. Saturday June 29, 2019 - "Few Fest 2019"
Its Finally Here!! Our biggest and best Few Fests ever! Come out and enjoy the music, the food, the party!! Then stay the night! Free Car & Bike show with prizes, Biker Games all day! Huge new vendors row, wet t-shirt contest, Jello wrestling and more! More info at Cyberspokes.com. Live music with Scarecrow Show and Chet & Louie! Primitive camping, Ox roast, To benefit St. Judes Childrens Hospital. Tickets available from any Chosen Few member or at the gate. Noon-? 1108 State Route 19 in S. Wellsville, NY. Phone 814-203-7356. Saturday June 29, 2019 - "Stan's Harley Davidson Swap Meet"
Sunday June 30, 2019 - "Riding For Different Abilities - Bikers For Fantastic Friends"
Starts and finishes at American Grille. 80 mile motorcycle run!. Check in 9 am, kickstands up at 10 am. Benefitting the Fantastic Friends of WNY Special Needs Center. Pre-registration until May 15, $25 rider & passenger, $15 single rider. After May 15, $30 rider & passenger, $20 single rider. Includes t-shirts. Trophies for best custom and stock bike. After party starts with the band "After Affect" from 2-6 pm. Food & drink specials. After party $10 for non registrants/general public. Basket raffle and 50/50. More info at Cyberspokes.com. Award for Best Stock Bike and Best Custom Bike. Fantastic Friends of WNY recognizes the need for a safe, comfortable space and friendships for individuals with developmental disabilities and their families. A place of understanding, compassion and no judgements. Through our events we will continue to create these environments for the developmentally disabled and their families in WNY. Everyone deserves to have fun and make lasting friendships. We are an all-volunteer, 501(c)3 not-for-profit for special needs individuals of all ages! Contact Dino Cordone 716-998-4258. Sunday June 30, 2019 - "1st Annual Teal There's A Cure Bike Run"
All proceeds go to Ovarian Cancer research, education and awareness programs! Registration 9:30am-11:00am at 315 Brewing Company 3160 Warners Rd. Warners, NY 13164. Kick stands up at 11:30am! Arrival back at 315 Brewing Company around 12:30pm. The run's total length will be 55 miles on country roads guided run lead by Onondaga ABATE. More details at Cyberspokes.com. BBQ chicken dinner by Rodfather's BBQ. Enjoy live music with Cali County Line with Steven Cali! 50/50 drawings and basket raffles (Cash only). Donations of $25.00 included the run, T shirt, BBQ chicken dinner, a water, and Drink Specials. PRE-REGISTRATION gaurantees you a shirt in your size that you have ordered! T shirts will be handed out at the time of check in or registration. Day of registrations are CASH or CHECK only. Phone 716-495-1184. Tuesday July 2, 2019 - "Bikers on Channel 7 Weather Outside"
Sunday July 7, 2019 - "31st Annual ABATE Buffalo/Erie Mystery Run"
ABATE is American Bikers Aimed Toward Education - Dedicated To Freedom Of The Road! $10 Sign-up 10:30 to Noon. More details at Cyberspokes.com. The main purpose of the ABATE organization is to work toward continued freedom of the road by insuring that motorcyclists' point of view is presented to our legislators and to promote motorcycle safety, rider education, and awareness. Phone 716-335-6613. Friday July 12, 2019 - "Fredonia History Days Classic Car & Bike Night"
Sign in begins at 5pm, parking all around Barker Commons in Downtown Fredonia! Separate areas for bikes and cars. Live music at the Gazebo by Midnight Recovery Band 6-9pm! JJ's Backyard BBQ & Catering will be serving up chicken and pulled pork BBQ! More details at Cyberspokes.com. Pin Ups For A Cause, 50/50, vendors and charity basket raffle! Fredonia History Days is a celebration of all things historical in the beautiful Village of Fredonia, NY. The event this year is July 12th and 13th, 2019 in the Barker Commons parks in the center of the village. Managed by Festivals Fredonia, a non-profit organization that operates six festivals in the village throughout the year. Phone 716-410-1527. Friday July 19, 2019 - "14th Annual Canal Fest Bike Cruise"
One of WNY's premiere bike events, The Canal Fest Bike Cruise is the "Must Attend" bike night of the summer. Last years event attracted almost 3000 bikers from all over western New York, Ontario and surrounding states. The Friday night of Canal Fest, Webster Street in North Tonawanda, 14120. 5:30 - 10:00 pm. PLEASE - No bike entry before 5:30! FREE TO ATTEND! $5 to enter your bike in the show! Donations encouraged for the Tonawanda Salvation Army and NT Inter-Church Food Pantries. More details at Cyberspokes.com. Show Bike Awards sponsored by Buffalo Choppers in 7 Categories - BEST Bagger, Classic 25 years+, Custom, Domestic, Metric, Paint & Ladies Choice. Judging for show bike start around 7:30 with winners being announced around 8:30. During the Band break. Live Music! On-site Beer Tent provided by Sweeney Hose Volunteer Fire Co. Vendors, Food, Souvenir T-Shirts, plus all festivities Canal Fest has to offer. Phone 716-912-8168 for more info. Saturday July 20, 2019 - "2nd Annual Operation 22-0 Memorial Run and Fundraiser"
Live music by JB Aaron! $20 Donation includes Babz BBQ pulled pork, chicken, sides and chance at door prizes! Cash bar. New and improved Memorial Ride is $10 Donation Per Bike, Registration Starts at 11am, Kickstands Up at Noon! More details at Cyberspokes.com. The Combat Veterans Motorcycle Association (CVMA 19-6) is a group of combat veterans who joined together to form a brotherhood of men of and women who have in common the trials of serving in defense of our country and the love of riding. Fundraiser party is 3pm-8pm at Batavia VFW (minutes away from Exit 48 I90). “A Train” McCann at 716 908-7041. Sunday July 21, 2019 - "Springville Travelers Field Events & Bike Show"
Trophies, family orientated kids events, Bike Pulls, Slow Race, Plank Race, Peoples Choice, 50/50, food, drinks, music and more! Enter your bike in the show and games or just watch and have a GREAT TIME! Gates open 10:30am, starts at 12:30pm. Only $10 and kids are free! Springville Travelers Motorcycle Club (STMC) was established on May 5, 1934 and continues to grow with each passing year. Today, the club offers a variety of fun events for everyone to enjoy. Poker Runs, Bike Shows, Field Meets/Motorcycle Rodeos, Bonfires, Chili Runs and more! More info at Cyberspokes.com. The Club is registered with American Motorcycle Association (A.M.A.) and has been a member in good standing since January 1, 1935. We’re a family oriented club and we have both men and women as members. 14340 Rt.219 Springville NY. Phone Doug 716-984-8278 or Elvis 716-597-8872. Sunday July 21, 2019 - "NCMC Old Bike Day"
It's time to bring out the Old Iron and win some stuff! Bike Show, Motorcycle Games of Skill and Chance, Slow Race, Kickstart Race, Place Ride and more! Custom trophies & live music! Food and refreshments available for purchase. $2 ice cold drinks! Niagara County Motorcycle Club (NCMC) was established way back in 1940. More info at Cyberspokes.com. Noon-6pm, Rain or Shine! $5 at gate, kickers free! If you are attending on anything more than 3 wheels park out front. There will be a number posted to call and receive a ride down the entrance road. Room at the club house for bikes and trikes only. The clubhouse is located at 4371 North Ridge road (rt. 93) Lockport, NY 14094. Enter on RT 93, North RT 104. Phone 716-579-3999. Sunday July 21, 2019 - "Motorcycle Dice Run For Operation Build Up"
Dice run and after party to benefit Operation Build Up! Operation Build Up is a not for profit organization who donates vehicles to Veterans who are in dire need of transportation. This helps the Veteran to get to work, medical appointments, etc and to get back on track. More details at Cyberspokes.com. There will be music by Ambush and Brian Chase after the run, Bike Photo opportunities with Pin Ups For a Cause! 50/50 drawings and basket raffles. Food will be provided as well. Registration starts at 10am KSU at Noon. Single riders $20, with passenger $30, party only $10. Glenn A Pratt Jr Post 1460 9688 Main St, Machias, New York 14101.Phone Shannon Reed 585-403-1469. Saturday July 27, 2019 - "25th Annual "Orchard Park Lions Club Quaker Days Car and Motorcycle Show & Cruise"
Registration will be at the Orchard Park High School Baker Rd parking lot from 8:30 am - 11am with the entrants cruising by class to the show site on North Buffalo St in the center of the village at 11am for the show. Awards are at 4pm. The show features 22 Classes with 1st thru 3rd Awards plus 40 Best of Show and Special Awards. A Motorcycle Class with 1st thru 3rd Awards, plus 2 Best Motorcycle Awards for Stock and Non-Stock are featured. Motorcycles are eligible for many Special Awards as well. The show features live music by "Joe & the Schmoes", food and Quaker Community Days events and sales. Registration cost is $18.00 in advance or $20.00 the day of the show. The Lions are hoping for a big turnout of bikes in addition to our large showing of cars and trucks. All proceeds will benefit the Orchard Park Lions Club Blind & Charity Fund. Please contact Tony Zappia at 716-662-1806 or 716-479-5169 or Matt Schutt evenings at 716-646-6162 for more information. Saturday July 27, 2019 - "Katie Jo Perry Motorcycle Run For Hospice"
Riding for Katie Jo! Registration will be from 10:00 am until 12:00 pm at The LoxStock & Barrel, 2602 Niagara St., Niagara Falls NY 14303. Run will begin at 1:00 pm and will end at Lock 34, 80 Main St., Lockport NY 14094. There will be 50/50 split and basket raffle. Tshirts will also be available. Tickets are pre-sale $15.00 for the rider and $5.00 for extra rider. More info at Cyberspokes.com. The day of tickets will be $20.00 for the rider and $5.00 for the extra rider. This will be a charity run all proceeds will go to the Hospice Foundation, in memory of Katie Jo Perry who put up a fight against cancer and ultimately it took her on September 22, 2018. She left behind two boys ages 3 and 9 and her husband. For more details contact Tammy Berner or phone 716-940-1770. Saturday July 27, 2019 - "22nd Annual Kids & Cancer Motorcycle Run"
Registration 9-11:45 a.m. at Zippo/Case Visitors Center. Bike blessing at noon. Parade of bikes through Bradford and mapped route of approximately 120 miles. Registration fee is $25/person and event pins will be given to the first 500 participants. The "Harley of Hope" raffle: 1st prize 2019 Harley Davidson Softail Low Rider, Milwaukee 8 107" motor, 6 speed, fuel injected! More info at Cyberspokes.com. Proceeds benefit Kids and Cancer Charitable Projects. Awards and door prizes! Kids & Cancer Run T-shirts and Zippo lighters available. Cruise through the beautiful mountains of Northwestern Pa. The Allegheny National Forest! Phone 814-362-6853 ext. 116. Sunday July 28, 2019 - "Blue Knights Toy Transport Run"
WANTED! All Motorcyclists for the Blue Knights Law Enforcement Motorcycle Club Toy Transport. Christmas in July! Ride with Santa and Mrs. Claus in a Motorcycle Motorcade. Register from 12:30 pm until 2:00 pm at Woodlawn Beach, S-35580 Lakeshore Road in Blasdell, NY 14219. More info at Cyberspokes.com. Enjoy your free lunch and secure one or more of the toys provided to your cycle for the ride to Angola, NY. Hand deliver the toys to the kids at Cradle Beach Camp. Ends at VFW Post 5798, 8989 Erie Rd., Angola, NY 14006 for door prize drawing. For questions or concerns contact Gary Hubert 716-861-8041. Sunday July 28, 2019 - "Alden Auto/Bike Show & Swap Meet"
The Alden Car, Truck and Cycle Show, Arts & Music Festival (formerly The Marilla Show) is an annual event dedicated to raising funds for Mercy Flight Western New York. Totally staffed by volunteers! This premier, family-friendly annual event, which started in 2004, brings out the coolest classic and custom cars, trucks, and motorcycles; not just locally, but from all over the East Coast and Canada! Thousands of show vehicles and spectators attend our show each year. 200+ Show Awards!! More details at Cyberspokes.com. Celebrity Cars, Raffles, Basket Auction, 50/50 Splits, Kids Zone, vendors, swap meet, flea market, food & Beverages and More! Rain or shine! FREE admission! Opening ceremonies by 97 Rock's Carl Russo! Live bands all day on 2 stages! Event runs 9am-6pm at Alden Town Park at 13116 W Main St. Alden, NY. There will also be a Preview Dinner at Lake Erie Italian Club on Saturday. Phone Mary Lynne 716-604-8458 or Jeff 716-870-9540. Sunday July 28, 2019 - "Ride In Memory Of Craig Lehner"
Please keep sharing this event with all your friends and family. Proceeds will go to K9 and URT Under Water Recovery.This event is open to motorcycles and cars. Details will be posted on Cyberspokes.com soon! Phone 716-352-5768. Sunday August 4, 2019 - "Wheatfield American Legion Riders Summer Dice Run & SAL Pancake Breakfast"
Pancake Breakfast and Basket Raffle 8am to 1pm! $6.50 per person, Children 6 or under are free, includes pancakes, sausage, scrambled eggs, juice & coffee. Dice Run Starts & Ends at Wheatfield American Legion Post 1451, 6525 Ward Road Sanborn NY 14132 Registration starts at 11:00am first bike out at Noon. More info at Cyberspokes.com. Enjoy a scenic ride along Lake Ontario in Niagara County Donation $15 Bike/$5 passenger or $20/$10 for ride and pancake breakfast combo, to benefit various veteran charities. Lunch after the ride, Gas Raffle drawing at 4:00 pm Wheatfield American Legion Post # 1451. Phone 716-573-1433 or 716-731-4712. Saturday August 10, 2019 - "5th Annual Mark Lee Memorial - Dice Run & Car Show"
Save the date for the 2019 Mark Lee Memorial! This will be our 5th and best year. We will post more information on Cyberspokes soon on dice run and event details. The Wings Meeting Place 3964 California Rd, Orchard Park, New York 14127. Phone 716-949-8420 or 716-208-1112. Saturday August 10, 2019 - "3rd Annual Warrior House Dice Run & Basket Raffle"
Food, Pig Roast, prizes, camping, raffles and Live Music! All bikes and vehicles are welcome! The Warrior House of WNY is a 501c3 Veterans service organization and farm located in Orleans and Niagara County in Western New York. The farm consists of nearly 1500 acres dedicated to for hunting geese, ducks, turkey, deer, and pheasant. More details will be posted on Cyberspokes.com soon! The hunts are organized for wounded Vets, and children who have lost their parent in a war. The Warrior House of WNY partners with many regional veteran initiatives and donates items to them as well as directly supporting individual veterans families and hosts fundraising events. Please help support our Wounded Veterans! Contact Todd Wilcox ABATE of Orleans County Road Captain at 716-566-0365. Sunday August 11, 2019 - "3rd Annual Summerfest At The Sal Car & Bike Show"
This is a Car, Bike and Concert show benefiting the Niagara Falls Fire Fighters Christmas Toy Fund. Last year our event went international with cars & bikes coming from across border! This year promises more cars, more bikes, and bands along with food and vendors! We are looking forward to summer already and another successful event! Details will be updated on Cyberspokes.com regarding bands, times, car/bike registration, vendor and food registration and other attractions! Every year, our NFFD raises money and collects toys to make the holidays brighter for children in our city, bringing holiday cheer to a number of Niagara Falls families. All the fun is at the historic Sal Maglie Stadium 1201 Hyde Park Blvd, Niagara Falls, NY 14301. Phone 716-940-7092. Saturday August 17, 2019 - "HOGS 4 PAWS"
Hogs for Paws is a fundraising event for our local Genesee County Animal Shelter. We invite any former supporters to participate in our event. Please bring an item on the list or a monetary donation if possible! Activities: Food from Care-A-Van Ministries, vendors, 50/50 raffle, and so much more! Wish List Items: Canned and Dry Cat and Dog food, small blankets and beds, bleach, laundry soap, paper towels, non clumping cat litter. All monetary donations will go toward spaying and neutering animals prior to adoption. More info at Cyberspokes.com. Sponsors: Stan's Harley-Davidson, Inc., Volunteers for Animals, WBTA Radio Station. Please contact Ashely at 585-343-9598 with any questions. 4425 W Saile Dr Batavia, Genesee County, New York 14020. Saturday August 17, 2019 - "2nd Annual St. Jude's Run"
Hosted by The Knights Templar Motorcycle Organization. We are a Motorcycle Organization with one main mission: To help people in need when we can and show the general public that not all bikers are bad people. If you see us out and about, WAVE. More details at Cyberspokes.com. 10am at Harley-Davidson of Jamestown 1951 E Main St, Falconer, New York 14733. Phone 716-484-0113. Saturday August 24, 2019 - "Stan's Harley Customer Appreciation BBQ"
The first 300 customers to arrive on this special day will receive a Barbecue lunch on us as we say thank you for your business. More info at Cyberspokes.com. 11am-2pm at 4425 W Saile Dr Batavia, Genesee County, New York 14020. Phone 585-343-9598. Sunday August 25, 2019 - "NCMC Field Meet"
Noon-6pm, Rain or Shine! $5 at gate. Food and refreshments available for purchase Custom trophies & live music! Niagara County Motorcycle Club (NCMC) was established way back in 1940. If you are attending on anything more than 3 wheels park out front. There will be a number posted to call and receive a ride down the entrance road. Room at the club house for bikes and trikes only. More info at Cyberspokes.com. The clubhouse is located at 4371 North Ridge road (rt. 93) Lockport, NY 14094. Enter on RT 93, North RT 104. Phone 716-579-3999. Sunday August 25, 2019 - "13th Annual Rock'n Blues Motorcycle & Car Show"
One of Western New York’s premier parties! This event is all about music, good people and having a blast. You’d have to be pretty bad off not to have a great time with all the things to see and do on this day. From a car show with some of the areas nicest Hot Rods, Classics and Muscle Cars, to the Choppers, Customs and Baggers, everywhere you turn chrome rules the day. More details at Cyberspokes.com. Everything will be there from the bone stocks to the radicals. With a mini-swap meet going as well there will be a slew of vendors, from leather and T-shirts to parts and novelties available. You can’t go wrong with tasty food, drinks and all of the great people gathered together for a full day and night of partying and good times. Sponsorship packages, Food vending & free non-food vending spots are available. The event has been featured in several local magazines and 97 Rock! The 2019 event will donate one dollar from every admission to the Variety club of Buffalo. All the fun starts at Noon at Bowen Rd. Grove Lancaster, NY (near Broadway). Now accepting VENDOR & SPONSOR requests! Phone 716-512-5643. Sunday August 25, 2019 - "8th Annual Teddy Bear Motorcycle Run"
Ride for Children's Hospital! Meeting at Attitudes Bar & Grill at Noon. Leave at 12:30 sharp for 100+ mile run! Donation: One NEW stuffed animal. To 2 or 3 undetermined locations as of yet. More details on Cyberspokes.com. This a no drama no hassle ride that all are welcome to! Last year we have donated 576 new stuff animals for the nurses to give as they see fit, such as a crying child in the middle of the night or a child whose parents just can't afford to bring them something, as medical bills are so expensive. Let's see if we can break the record again this year! We donated almost 1600 to date! We do not accept cash. Just a new stuffed animal because the hospital can't accept used due the germ factor and the sick kids. Riders are asked to please have in a bag for protection as the hospital can't accept bears covered in bugs....LOL. We look forward to see you all there! Attitudes Bar and Grill 616 West Ave, Lockport, NY 14094. Phone Jamie 716-940-8551. Sunday August 25, 2019 - "SSG William R Wilson III Memorial Ride and Raffle"
11:00 registration at Greater Buffalo Gymnastic Ctr. 1641 No French Getzville, NY. 12:30 Rider meeting and prayer, 1:00 Kickstands up for the 1.5 hr ride! 2:30 Raffle begins at Jurek Post 1672 at 655 New Road Swormville, NY. If you cannot join the ride, please join us at 2:30 to welcome Riders! Basket raffle, 50/50 raffle, live music, food, beverages and fun! $20.00 per rider, $10.00 per passenger, $10.00 non-rider admission Includes meal and soft drinks. This is a family friendly event, children 12 and under free! Proceeds go to the SSG William R Wilson III Memorial Foundation. Contact Kim Wilson 716-908-3223. Aug. 30 - Sept. 1, 2019 - "37th Annual HOG HOLIDAY Labor Day Campout"
At The Hogarosa Campgrounds, on Top of the World! To the bikers, by the bikers, for the bikers! Party of the year! LIVE MUSIC with Buffalo & WNY's best bands! It will be an UNBELIEVABLE WEEKEND! Hot showers, clean johnies, camping, fishing, swimming, mini-swapmeet, door prizes, 50/50, vendors, Hogarosa Radio 90.7 FM with Rainman, Buffalo ABATE Happy Hour, paddle boats, horseshoes, motorcycle games & rodeo, tug-o-war, keg toss, tattoo & bike contest. Door prizes, Carl Russo, Ms. Hog Holiday and lots more! Lots of good old home cooking & drinks. OLD SCHOOL CHOPPER SHOW! Let's Keep Old School Alive! More details at Cyberspokes.com. Breakfast, Chicken BBQ and more! FOUR DAYS OF MORE FUN THAN ALLOWED BY LAW! No attitudes, dogs, fireworks, firearms or open fires. Rules are - Have fun or you are out of here! Must be 21, or accompanied by a parent. Pre-sale Tickets til Monday Aug. 20th? $40, Kids (6-14) $14. Gate $45, Kids $20. One day pass $20 SUNDAY ONLY. Tickets available at Still Kickin Cycles, Gowanda Harley, Voz Cycle and The Hog Farm. Sponsored by The law firm of Maxwell Murphy, LLC. Hogarosa Camp Grounds Rt. 219, Genesee exit, to Summit Lane, off Drake, to dead end, to Hogarosa Lane Springville, NY. Erie County Approved. Only 3 miles from downtown Springville, NY. For more details call Grott at 716-289-1004. Saturday August 31, 2019 - "11th Annual Ride for the Red Motorcycle Run"
The run will be held to raise funds for the Service to the Armed Forces program of the American Red Cross' Finger Lakes Chapter. This ride is supported by the Arkport-Corning HOG (Harley Owners Group) chapter and Arkport Cycles, and is in honor of local Veterans and Gold Star families from all wars. "Ride for the Red" will be held from the American Legion at 45 Olcott Road S, Big Flats, NY 14814. Tlaves at 10:30 AM sharp and will be led by NYS motorcycle troopers through the beautiful Finger Lakes Region! Pre-registration on-line is highly recommended- deadline is Aug. 20th! On-site registration runs from 8:30 to 10:00 AM. The pre-registration cost is $25 for the rider and $25 for the passenger. More info at Cyberspokes.com. A specially designed shirt is included for pre-registered riders and passengers. T-shirts will not be available the day of the ride, so be sure to pre-register online to guarantee you get one. A meal is included for all participants. The American Red Cross will also hold a blood drive at the Big Flats American Legion from 1 to 5 PM. Stay up to date on the ride at our Facebook page. Special priced hotel accommodations are available at Americas Best Value Inn in Painted Post, NY. Call 607-962-2456. Indicate code: Ride For The Red. Wednesday September 4, 2019 - "Bikers on Channel 7 Weather Outside"
Saturday September 7, 2019 - "Ride For Russell"
Registration starts 10am at Hebeler Sales and Service 6466 Main in Lockport, NY. Kick stands up at 12. Stopping at The Somewhere in Youngstown from 1pm till 230. Ending 4pm at Vitos Avenue Pizza at 254 Zimmerman St. in North Tonawanda.. There will be a live dj. Dj Qball. 50/50. Basket raffle. And a door prize. More info at Cyberspokes.com. The door prize is a Russells Dinner Hotel Champagne package. The ride, door prize, and pizza/refreshments are included with $25 donation. No donation necessary to participate in the basket raffle. The Ride For Russell is an annual Motorcycle fun run to honor Russell Clark. Phone 716-310-0220. Saturday September 7, 2019 - "Lonelyones MC Pin Party"
At the clubhouse 13 Martin (at Lake Ave) in Blasdell, NY. More details will be posted on Cyberspokes.com soon! All friends are welcome to party with us! Phone 716-649-1829 or 716-444-4201. Sunday September 8, 2019 - "ABATE of Buffalo 29th Annual Erie Toy Run"
ABATE is American Bikers Aimed Toward Education - Dedicated To Freedom Of The Road! Sign-up 10:30-Noon. Please keep in mind we do not take toys. We are looking for monetary donations so we can purchase bicycles for the Boys and Girls Club. More details at Cyberspokes.com. Even if you can't make it to the ride, join us for the after-party at Armor Inn Tap Room in Hamburg! The main purpose of the ABATE organization is to work toward continued freedom of the road by insuring that motorcyclists' point of view is presented to our legislators and to promote motorcycle safety, rider education, and awareness. Phone 716-335-6613. 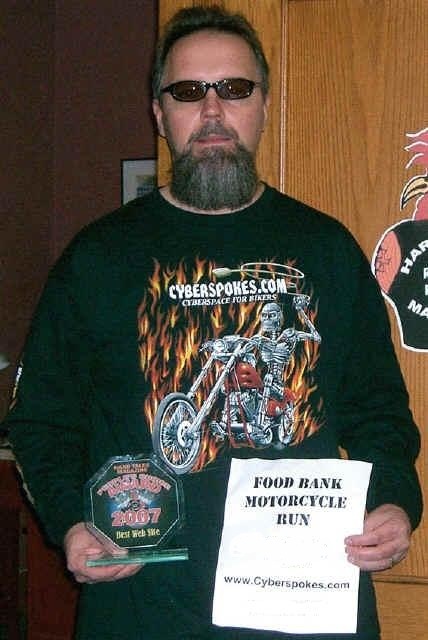 Saturday September 14, 2019 - "19th Annual Food Bank of WNY Motorcycle Run, Rally & Car Cruise-In"
This is an ALL HANDS ON DECK FOR ALL THE WNY BIKERS & CAR GUYS! This year the Motorcycle Run starts AND ends at Newell Faulkner American Legion Post 880 at 2912 Legion Drive in Eden, New York 14057. Look for the hellicopter near Tim Hortons and the Eden Corn Fest grounds. RAIN or SHINE! Not riding? Bring your bike, car, truck or whatever! Everyone is invited! It will also be an ALL DAY PARTY & CAR CRUISE-IN at The Eden Legion with LIVE MUSIC with Bar King Spiders and V-Syx! Deejay "Rainman" Mark Ferguson spinning your favorite tunes! Get your picture taken with the replica of the 1966 Batmobile! 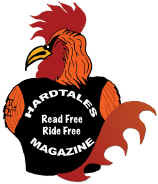 Your bike could win the coveted Hard Tales Magazine Radical Award or Cyberspokes Choice Trophy! Car Guys, your car could win the 1st, 2nd or 3rd place People's Choice Award! More details at Cyberspokes.com. Dice Run, Car Cruise-In, Live music, Vendors, basket raffles, Pin-Up Girls, FUNdraising, run prizes, awards, contests, food, drink and more! Registration & Breakfast is 8am. Kickstands up at 11am! Event goes 8am to 5pm. We are now accepting 2019 volunteers, corporate sponsors, raffle prize donations and vendors. For vendor inquiries please contact Kathy Kennerly at 716-572-7826. For all other inquiries contact Kevin Matteson at 716-673-5651. Saturday September 21, 2019 - "2nd Annual Dwyer Suicide Prevention Motorcycle Run"
Join us for a beautiful Fall POKER Motorcycle Run for Suicide Prevention starting at Harley-Davidson of Jamestown at junction of Rte 394 & I86 in Falconer. Registration at 10am Brief remarks and kickstands up at 11:15 am, Registration info to come soon. Stay tuned to Cyberspokes.com and Check back! LIVE LOCAL MUSIC by Afraid of Human Basket Raffle 50/50 BAKE SALE Chicken BBQ Local vendors and resources. We are looking for sponsors to help with event costs, t-shirts, publicity, music, basket raffle, etc. All sponsorships are due by September 1, 2019 with the corresponding business logo. Each sponsor will be featured on the back of the participant and event volunteer t-shirts. We will be accepting gift certificates, basket raffle and baked good items right up until September 21st at the event. Businesses or organizations interested in becoming a sponsor and/or making a donation should contact Cindy Reidy at (716) 661-8447. Saturday September 21, 2019 - "Turtle Joe's Bikes and Bikinis Season Ending Party"
Come enjoy our wonderful 2 tier deck, 2 full bars, beautiful sunsets, great bands and more. 2 for 1's, Appetizer special, buy any 2 drinks get 1 appetizer free. Weekly Best of Show Bike Contest winner trophy designed by Steel Crazy Iron Art! This years benefactor for 50/50's will be donated to K.I.A. Helping Veterans and their Families. More info at Cyberspokes.com. With Designated Bike parking up front on our Paved parking lot. Tell your friends this is the Bike Night to attend! Remember this is not your typical parking lot Bike Night. Sponsored by The Kantor Law Firm, and Certified Pet Solutions. 8966 Lake Shore Rd. Angola N.Y. 14006 716-549-3026. Wednesday October 2, 2019 - "Bikers on Channel 7 Weather Outside"
Saturday October 5, 2019 - "ABATE of Buffalo 29th Annual Fall Foliage Run"
ABATE is American Bikers Aimed Toward Education - Dedicated To Freedom Of The Road! Sign-up 10:30-Noon. More details at Cyberspokes.com. The main purpose of the ABATE organization is to work toward continued freedom of the road by insuring that motorcyclists' point of view is presented to our legislators and to promote motorcycle safety, rider education, and awareness. Phone 716-335-6613. Sunday October 6, 2019 - "Springville Travelers Annual Chili Run"
Sign in 10:30-Noon. Rain or Shine, Always a great time! Home Made Chili after the run! Springville Travelers Motorcycle Club (STMC) was established on May 5, 1934 and continues to grow with each passing year. Today, the club offers a variety of fun events for everyone to enjoy. Poker Runs, Bike Shows, Field Meets/Motorcycle Rodeos, Bonfires, Chili Runs and more! More info at Cyberspokes.com. The Club is registered with American Motorcycle Association (A.M.A.) and has been a member in good standing since January 1, 1935. We’re a family oriented club and we have both men and women as members. 14340 Rt.219 Springville NY. Phone Doug 716-984-8278 or Elvis 716-597-8872. Bike & Cruise Nights locations and details change constantly so always check with event organizers. Subject to change without notice. Most of the popular ones go from April to October. Motorcycles always welcome! Starts May 13, 2019! DJ, beer tent, grill, door prizes, 50/50, paved back lot and more! $2.50 canned Labatt beer and $4 wine! Also out on the grill we will have $3 Hot Dogs, $4 Burgers or Cheeseburgers, $5.50 Sausage with cheese or Peppers & Onions or both! 5pm-8:30pm weather permitting. We wlll also be doing Live Music inside on certain days as well with the Live n Kickin band from 8-11. Proceeds from the 50/50 go to The Food Bank of WNY! Get your KETTLES KRUISE SHIRTS while supplies last! Free family friendly & community event! No pets please. Awesome neighborhood bar, great pub food & prices, amazing bartenders and did we mention Best Wings in Southtowns! Full kitchen menu & bar inside! All the fun on Mondays is at Kettle's Corner 3719 Abbott Rd. Orchard Park, NY 14127. At Webster Rd. Right down the street from New Era Field! If weather cooperates, we will be doing a Memorial Day Kruise Monday May 27th this year! Watch Cyberspokes.com for updates. Phone 716-648-4524. Biker Church meets EVERY Monday including holidays & all through the Winter! Rain, snow or shine! We NEVER cancel, We NEVER take a day off! Biker Church' is just what it sounds like - church for bikers. Started in 2004 & 'geared' toward bikers who often are at benefit runs etc. on the weekends & unable to attend church. During the riding season the 1/2 hour service is followed by a ride to an ice cream spot. Dress is regular riding clothes. During the non-riding season, we go for pie & coffee following the short 7pm-7:30pm church service. All people are welcome, all makes of bikes are welcome. More details at Cyberspokes.com. The service is non-denominational. We meet in the building of the Tonawanda Free Methodist Church 207 Grove St. Tonawanda, NY 14150. For more info contact Pastor Don Mohr 716-695-2789. They are starting at 5pm on first Monday of the month. The cruise is open to all bikes, classic cars and trucks. live music with Hintz of Thunder! We will have 50/50s, door prizes and will be serving Clams and Sahlen`s hot dogs. Plenty of parking on our paved lot or on the grass in our Military Park. More details at Cyberspokes.com. The East Aurora American Legion Post 362 is located at 1 Legion Drive off Center St (near the bridge) one mile south of Main St (Rt 20a) in the village of East Aurora. Phone 716-652-4376 or 716-652-4376. BUFFALO'S BIGGEST WEEKLY BIKE NIGHT! Armor Inn Bike Night! Every Tuesday night 6pm rain or shine! On a nice day we easily have 500+ beautiful bikes filling our large paved parking lot! Live music will fill the restaurant and patio weekly! Hosted by 97 Rock's Carl Russo! All bikes parked in the main lot will be judged and have a chance to win a trophy for Best Chrome and Best Rat Bike! Vendors will be in the parking lot every week! Visit the Buffalo Harley Davidson tent and check out the amazing new bikes! Angel Scent Aromas will be there with her beautiful hand-crafted creations. Don’t forget that we will be grilling in the parking lot as well as serving our regular menu inside. More details at Cyberspokes.com. Drink specials at the beer tent with a full bar inside and on the patio. Get some friends together and come grab a craft beer paired with some delicious food all summer long, with our wide selection of beers and all new menu there will be some something that everyone will want to indulge in. Get your motor running and ride on down. Dedicated Motorcycle Parking! Car parking across the street. Hang out on the massive 60-foot outdoor patio, complete with flaming fire pits! No MC Colors please. 5381 Abbott Rd. (at the intersection of Armor Duells Rd., Bayview & Clark) Hamburg, NY 14075. Just off the 219 and minutes from everywhere! The Armor Inn dates from 1819, when a brick structure was erected as a stagecoach stop. It was called the Temperance Inn. Call 716-202-1315. Turtle Joe's Sandbar presents Bikes and Bikinis Every Tuesday Night starting May 7th,2019 till our season ending party Saturday September 21st. Come enjoy our wonderful 2 tier deck, 2 full bars, beautiful sunsets, great bands starting at 6:30,and more. Happy hour 5:30 to 6:30 2 for 1's, Appetizer special, buy any 2 drinks get 1 appetizer free. Weekly Best of Show Bike Contest with prizes, and with season winner receiving a trophy designed by Steel Crazy Iron Art and more at season ending party.This years benefactor for 50/50's will be donated to K.I.A. Helping Veterans and their Families. With Designated Bike parking up front on our Paved parking lot. Tell your friends this is the Bike Night to attend! Remember this is not your typical parking lot Bike Night. Sponsored by The Kantor Law Firm and Certified Pet Solutions. Watch for more info on Cyberspokes.com and in Hard Tales Magazine. 8966 Lake Shore Rd. Angola N.Y. 14006 716-549-3026. Poor Cow Leather hosts a Bike Night every Tuesday night at Good Times Of Olean in the Hammer Back Bar and Grill! There is $2 canned beer, tons of great food and live bands! 6-9pm Hammer Back Bar & Grill 800 E State St. Olean, New York 14760. More info at Cyberspokes.com. We also hold a "Cruise to Bike Night" leaving from Poor Cow Leather in Olean NY, we make a few stops at some local places including the Legions in our area! Phone 716-372-8813. Variety - the Children's Charity of Buffalo & WNY! Full bar, $2 beer, charcoal food, pull tabs, music, DJ and more! Enter the raffle to win a 1955 Chevy Bel Air Cruiser which was owned by legendary Nascar driver David Pearson! With over $70,000 invested, this Cruiser is 700+ HP and has less than 4,000 miles since the rebuild. More details at Cyberspokes.com. 5pm to 9pm at 6114 Broadway St Lancaster, NY 14086. Phone 716-854-7677 or 716-895-7099. 6965 Chestnut Ridge Road Lockport, NY 14094 Beginning at 6:45pm Co-Pastors: James Zang and Tony Fischer. Service in the Woods. THERE IS THUNDER IN HIS WORD! More info at Cyberspokes.com. Call 716-434-8500. May - Sept Beginning May 7th 2019 come out to Hat Trix Bar & Grill and join the Viet Nam Vets Legacy Vets for Cruise Night! From 6pm-10pm enjoy 2 for $2 tacos, $2.50 domestic bottles, live music, and a 50/50 drawing to benefit Operation Zero, a nationwide organization dedicated to stopping veteran suicide. More info at Cyberspokes.com. Hat Trix is the place to be, where having a good time is our main priority! 4923 Southwestern Blvd in Hamburg. Phone 716-649-0909. HUGE paved parking lot! Cars, bikes, trucks, food, beer, DJ, 50/50, fun, prizes and more! Uncle Joe's is a 50's Style Diner With A Pulse!!! Lottery and Quick Draw, plus 3 TVs for local news and games. Fresh-cut french fries, don't forget the vinegar and ketchup, or request cheese or chili on top! More details at Cyberspokes.com. We serve breakfast all day, every day! Sweet potato fries served with honey and butter, Blooming Onions even better than at the fair, Hand-pattied burgers cooked to your liking! Butterwood cakes, crusty pies, homemade rice pudding and bread puddings, thick milkshakes served in a traditional Diner mixing cup, hot fudge sundaes and more! 5pm til dark at 4869 Southwestern Blvd. (Route 20) Hamburg, New York 14075. Phone Mike Gargano 716-648-7154. Starts May 1st 2019! Every Wednesday 5-9pm. Food & drink specials, $10 Beef & Brew with our famous sirloin on weck with a bottle of beer! Dedicated motorcycle parking up front and live music on the deck! Monthly prize giveaways! More details at Cyberspokes.com. Choose from our imported, domestic or craft draft, over 27 varieties of bottled beers as well as a fully stocked bar. 177 Savage Rd. Holland, NY 14080. Less than 10 minutes from the 400 Expressway right of the NY-16 South. Phone 716-537-9070. Food Truck, drinks, cars, bikes, trucks and more! Get a photo with any one of our beautiful Body Shop girls with you and your car or bike! More details at Cyberspokes.com. The Body Shop is covered in pinup photography and old school pinstriping. Even the DJ booth is a 1960's Cadillac! 7pm til ? at 1285 William St Buffalo, New York 14206. Phone 716-855-1950. ALL CARS & BIKES WELCOME! Giveaways, prizes, 50/50 and more! Anyone who registers' their Car/Bike gets a ticket to win prizes! Live music by bands like: The Bark King, Spiders, Black Widow, OC/DC (AC/DC Tribute), Boneshakers Blues Band, Pale Face, Return Trip, Past Masters (Beatles Tribute), Joe Mahfoud Band, John M Falon and more! Come on down and enjoy another Beautiful day! Pop, water and plenty of tasty food options! Hot dogs, burgers, fresh curly fries, and also broasters chicken and pizza from Herons landing! More details at Cyberspokes.com. Great low prices everyday on fuel, cigarettes and tobacco products. Less than 6 miles away from First Place Finishes Custom Paint & Airbrush! BYOB, on the Cattaraugus Indian Reservation. 5-8pm at Big Indian Smoke Shop 597 Milestrip Rd. Irving, NY 14081. Phone 716-934-0470. Presented by the Black Sheep HDFC. Beginning in May rain or shine. Come as you are on a bike or in a car. Enjoy great company and conversation. Treat yourself and someone else to amazing desserts and drinks. More info at Cyberspokies.com. There will be free hot dogs and coffee. 7pm Ohlson's Bakery Cafe, 8500 Sheridan Dr., Williamsville NY. Phone 716-626-7783. Every Wednesday from 5pm-Dusk. Stop In and Grab a Hot Dog...Classic Cars are also Welcome!! Back Parking Lot by Gazebo!! More details at Cyberspokes.com. 67 Wildwood Ave Salamanca, New York 14779. Phone Kim at 702-610-8860. Starts June 5th 2019! Cool Bikes, Cold Beer and Good Times! Bike Night on The Avenue! 6pm-9pm with Live Music in The Wrecking Yard, our new Beer Garden! The LARGEST BEER GARDEN on Hertel! More details at Cyberspokes.com. Beer/Wine, Drink Specials, Food Specials & More! Garage Cafe & Lounge 1127 Hertel Ave. Buffalo, NY 716-436-2141. Every Wednesday is Blues, BBQ & Bike Nights! Open Mic with Michael Hund, full backup line provided! The guys from Still Kickin Cycles will be in the house! Smokehouse BBQ & Brews on the patio. More details at Cyberspokes.com. Large C&P Pizza only $10.99! Full bar with 18 craft beers, pizza, wings & fingers, subs, tacos & wraps, burgers, sandwiches & melts, seafood, salads, appetizers, desserts and more! Our commitment to excellent food means that every dish we prepare is made with only the freshest ingredients, cooked exactly to your order. Located next to the Best Western Hotel at 603 Dingens St Cheektowaga, New York 14206. Doors open at 4pm, bands usually start around 7pm. Phone 716-240-9161. Starts April 25, 2019! The ORIGINAL Buffalo Wing! HUGE paved parking lot for bikes & cars! Food, drink, raffles, live blues bands on the patio and more! Weekly prizes for Hottest Bike and Coolest Car! Beer Specials and Tastings! 50/50! More details at Cyberspokes.com. 6pm-9pm at 4300 Maple Rd. (Corner of Sweethome) Amherst, NY 14226. Phone 716-833-9464. Proceeds benefit WNYHeroes to provide veterans, members of the armed services, and the widows and children of deceased veterans with access to essential services and resources that support their lives and sustain their dignity. 3287 Niagara Falls Blvd. North Tonawanda, NY 14120. We are local riders that understand the wants and needs of the local motorcycle community. Independently owned and an authorized dealer for Drag Specialties, Tucker Rocky, Custom Chrome, and many others. For more info go to Cyberspokes.com or call 716-260-1180. Ride on down 6-9pm and enjoy a beacon of cuisine, craft beer and spirits that we hope leaves you with an amazing customer service experience! Live music, Ted Shredd from 103.3 The Edge, Bike of The Night Awards, Gowanda Harley Swag and more! Everyone you encounter within our doors has made that our goal from Day 1. Our carefully chosen menu features local purveyors which creates a fresh and seasonal snap shot of all the truly amazing tastes WNY has to offer. We are here to be a part of that WNY community for years to come and would be humbled if you chose us. 6600 US-219 Ellicottville, New York 14731. Phone 716- 699-2042. Everyone is welcome! Starts April 18, 2019! Best Bike Awards, Live music on our outdoor stage, Cigar Lounge, Contests, Vendors, 50/50, HUGE paved parking lot, Great food and more! Gowanda Harley Davidson BURNOUT PIT on select nights! TIRE GIVEAWAY for Best Burnout! Sign up to win a Trip For Two to DAYTONA BIKETOBERFEST. Cabana Sam's Sunset Bay Grill will also be set up in our lot, come check them out every week at Bike Night or see them when they open for the season in May! The Hard Tales Magazine "Radical Ride" Trophy giveaway will go to one winner each month and chosen from our "Best Bike Award" Winners each week. Best Paint, Best Chrome and Judges Choice! More info at Cyberspokes.com. We have BIG plans for this event and hope to see ALL of you there when we kick-off for the season! “Put a little pride in your ride,” and fill up your bike's tank with the best price fuel for miles! 6-9pm at Native Pride Travel Plaza 11359 Southwestern Blvd, Irving, NY 14081. Immediately off Exit 58 on the NYS Thruway I-90. BYOB, on the Cattaraugus Indian Reservation. Any business interested in sponsoring or setting up as a vendor at the event please reach out to Erika at erika@nativepride.com or by phone 716-934-5130 x113. Bikes, cars, trucks or whatever you have! Plenty of great food, drink, dj music and friendly people too! More details at Cyberspokes.com. 5pm til dusk at The Hamburg Moose Lodge 992 at 45 Church St. Hamburg, NY 14075. Phone Patty 716-480-3644. Bikes, cars, trucks, DJ, fish fries, bowling and more! Never a cover! Strikers is a clean and recently renovated bowling center that operates 24 lanes. We also have a great restaurant and game room. If you haven't ever been, it's definitely something to check out! Everyone has a great time and looks forward to it every Friday through the summer! 6-9 pm, 50 Michael Rd. West Seneca, NY 14221. For details go to Cyberspokes.com or call 716-674-1104. Starts April 26, 2019! Proceeds from the event will go right to the Honor Flight Network of Buffalo Niagara, which helps WWII Veterans travel to their memorial in Washing D.C., a trip that these individuals would normally not be able to afford. More details at Cyberspokes.com. Join us 5-8pm as we open our parking lot at The Made In America Store 1000 West Maple Court in Elma, NY, for our All-American Cruise Night - A free, family-friendly event that hosts all makes & models of Muscle Cars, Classic Cars, Motorcycles, and more! Phone 716-652-4872. "Jamestown Harley Food Truck Friday Bike Night" - Second Friday Of The Month"
Starts April 12, 2019! Join us 3pm-7pm every second Friday of the month for Food Truck Friday Bike Night April to September! We will have different food trucks onsite for you to fill your bellies. More info at Cyberspokes.com. Don't miss out on good food and fun with us.1951 E. Main St. Falconer, NY 14733. Phone 716-484-0113. ALL BIKES are welcome! Bikes, BBQ, drinks, live music and more! Live bands on Willie's Deck starts at 6pm More details at Cyberspokes.com. Kissing Bridge offers a great ride, great scenery with hillside decks and fire pits, Willie's Smokehouse, Hiking Trails and much more! Located at 10296 State Road. Glenwood, NY 14069. Just around the corner at Sprague Brook Park. Phone 716-592-4963. Take a nice country ride out to the "Burg" Small Town USA at The Varysburg Hotel! Where Andy of Mayberry meets Easyriders. Keith would like everyone to give a warm welcome to the new owner Samantha Olivera! Sam will keeping up with the Varysburg Hotel tradition that we all know and love! Featuring great food, drink and Live Rock & Blues on our OUTDOOR STAGE at 1pm! Checkout great bands like Jony James, Robin and The Rubes, Smash, The Legendary Skycats and more! For more info go to Cyberspokes.com. 2486 Main Street, Route 20a, Varysburg, NY 14167. Phone 585-535-0300. Come for bike night with your ride and get 10% off your meal! Will be serving up delicious fresh food and Draft specials with LIVE ENTERTAINMENT! More info at Cyberspokes.com. Grateful Grill is a throwback to the old Glen Rock restaurant remaining just as you remember it with a newly renovated dining room and live music venue. To us, the kitchen is where all of the magic happens, and meals are about enjoying the food as well as the camaraderie around the table. 3pm-6pm at The Grateful Grill 4260 Rt 19, Silver Springs, New York 14550. Phone 585-228-1159. 10711 Hammond Hill Road, East Otto, NY. 2pm Music, food and drink specials. Pool table, horseshoes, 3 large screen TV's, kayaking, canoeing, fishing, hiking, horseback riding, ATV'ing and more. For details go to Cyberspokes.com or call 716-592-4911. Chicken BBQ starts at Noon and live music 2-6pm! Take a scenic ride to sunny Kennedy New York! ALL ARE WELCOME! Bikes/Classic cars, we are family friendly! More info at Cyberspokes.com. Outside patio. 1064 Rt. 394 Kennedy, NY 14747. Call 716-267-7367. Designated bike parking, specials, full menu and giveaways! 3-7pm on the back deck. 9574 State Road (Rt. 240) Glenwood, NY. For more details go to Cyberspokes.com or call 716-941-9100. Bikes, Beer & Babes every Sunday afternoon! More details at Cyberspokes.com. Live music from 2pm on the deck! Food and drink specials! Cruise to the Country. 9504 Heath Rd. Colden, NY 14033. Phone 716-941-5200. The Legion Riders 1460 out of Machias is doing a Meet and Eat at the legion from 1:00 to 4:00. Hot dog, chips and a pop for $3.00. The bar will also be open! We will be doing a Memorial Event with Military equipment along with a car and bike Cruise. More details at Cyberspokes.com. Chicken BBQ will also be sold starting at 1:00pm until gone. Any questions please contact Tom Ploetz at 716-982-8427 or Joe Neamon at 716-435-9060. More car cruise nights, bike nights, car shows and bike shows for Buffalo & Western New York. We think it is one of the most complete listings of all the important Biker events happening in the New York. It features ABATE and non-ABATE events for all of New York State! An excellent guide to all the runs around Western New York and beyond! Gowanda Harley-Davidson was awarded the People's Choice Award -Best Motorcycle Dealer by the readers of Hard Tales Magazine. Founded in November 1985, American Harley-Davidson North Tonawanda, NY has grown into a trusted, dependable, and very well-known dealership. HDJ has become a dealership well known for its friendly and welcoming atmosphere. Their entire staff is a tight knit family of relatives and friends. They treat everyone like one of their own, and they take pride in this. Stan's is located at 4425 W. Saile dr. in Batavia NY, 1/2 mile north of thruway exit 48. THURSDAY NIGHTS are HOG night at Stan's. If you are interested in joining or meeting the members, stop in from 6-8pm. Have a coffee and mingle. These guys have it all! Swap Meets, Labor Day Campouts, Motorcycle & Snowmobile Drags, Summerfest Blues at The Hogarosa, and much much more. This club has some of the BEST events around. Poker Runs, Bike Shows, Field Meets, Chili Runs and even Boat Cruises! Don't miss a great time, check 'em out! This is a great calendar for WNY and the entire New York State Area. One of the coolest things about this one is that you can request a hard-copy of this calendar too. Call Jim Kolb at 585-671-8449 or email him at schelkun@aol.com. It all started in garage in 1952...A group of friends formed the Regent Riders. In 1956, the Club became AMA sanctioned. At one time, the Club won Best Dressed and Best Club in the U.S.A ! It doesn't matter what kind of bike you ride, whether you are 16 or 60, male or female, All Are Welcome! Joining the Zoar Valley N.Y. H.O.G. Chapter is a great way to meet new friends, participate in chapter activities, and have a lot of fun. To join, you must be a current National H.O.G. member. If you do not belong to the National H.O.G., visit their website at www.hog.com and become a member or call 1-800-CLUBHOG. Established way back in 1940, NCMC is located at 4371 North Ridge road (rt. 93) Lockport NY 14094. With events like their Old Bike Days, Charity Dice Runs and Field Meets, you'll be sure to find something you like.